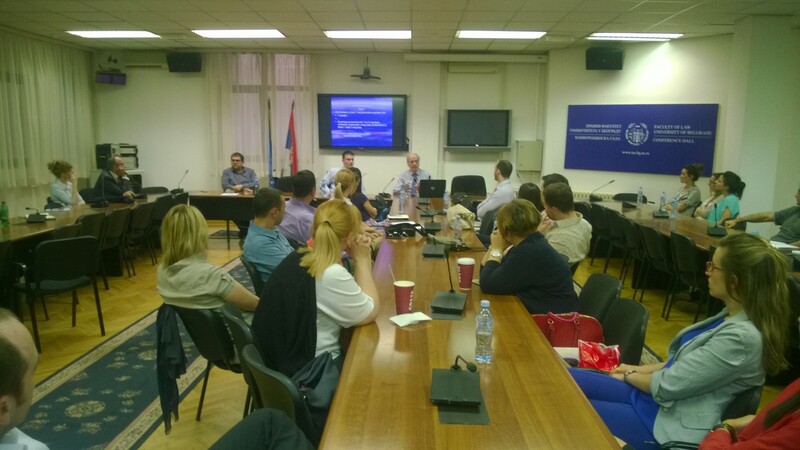 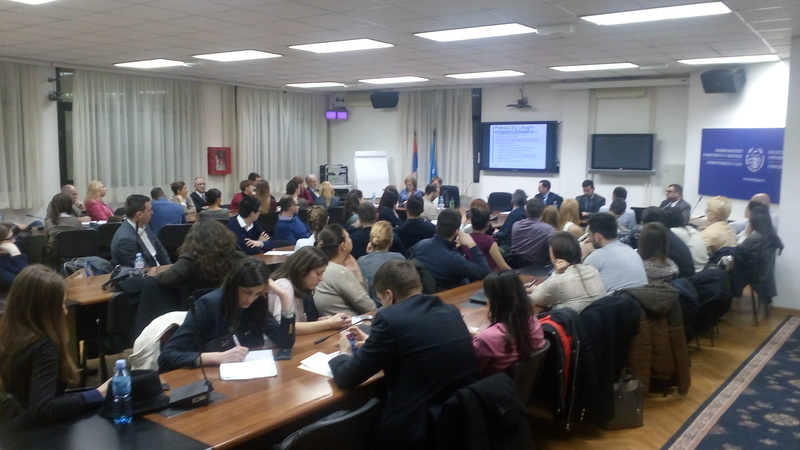 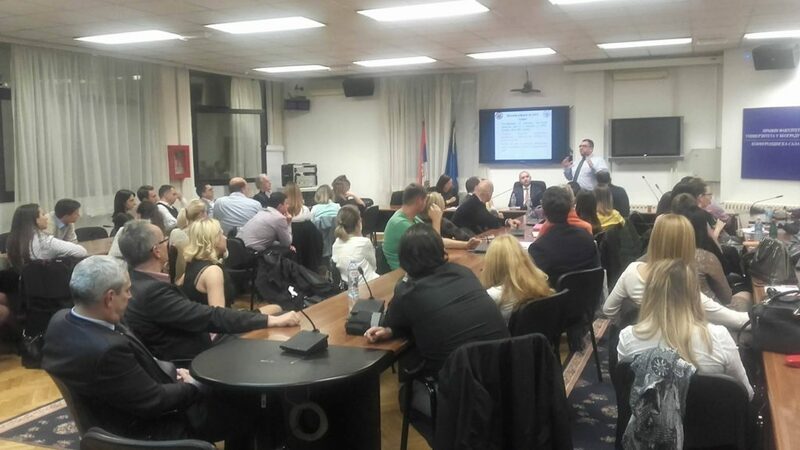 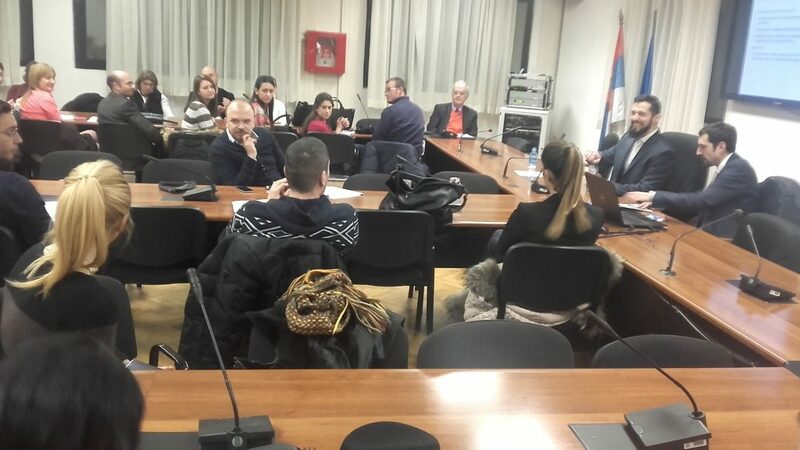 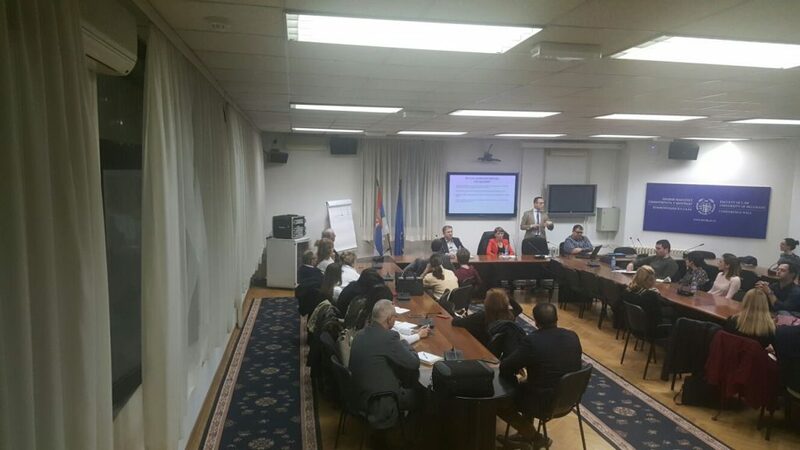 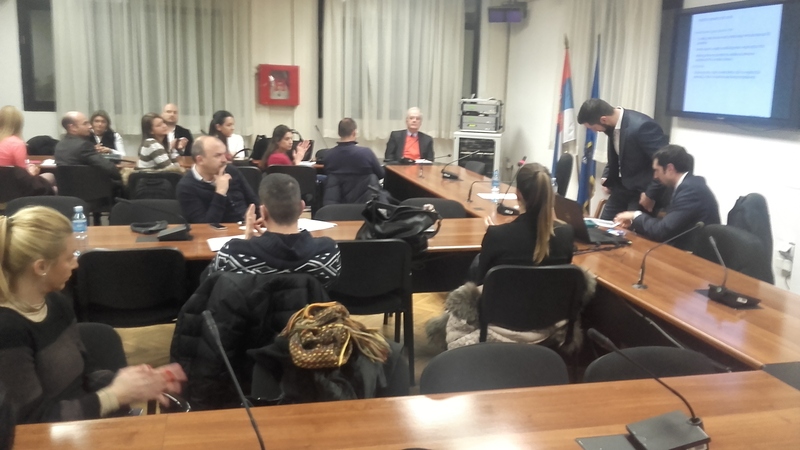 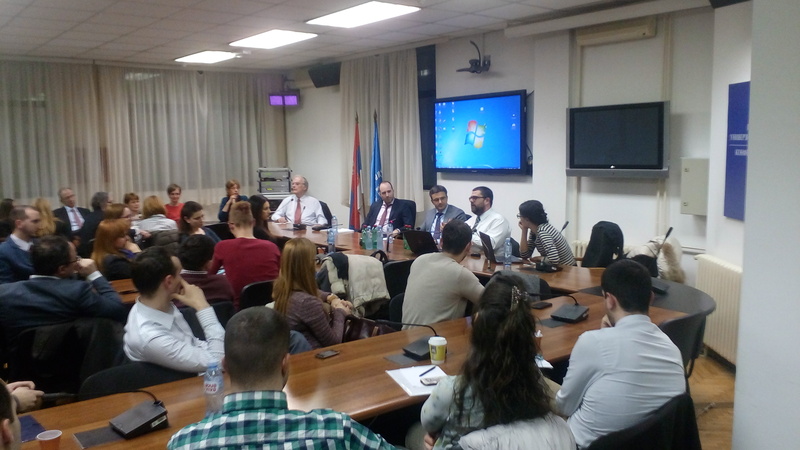 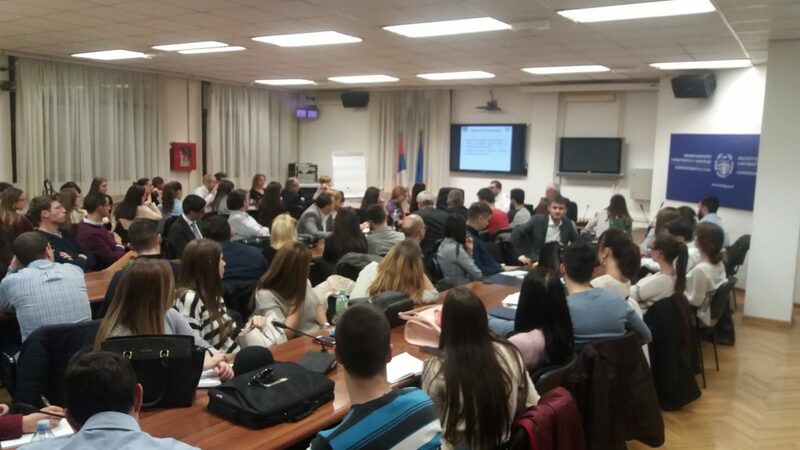 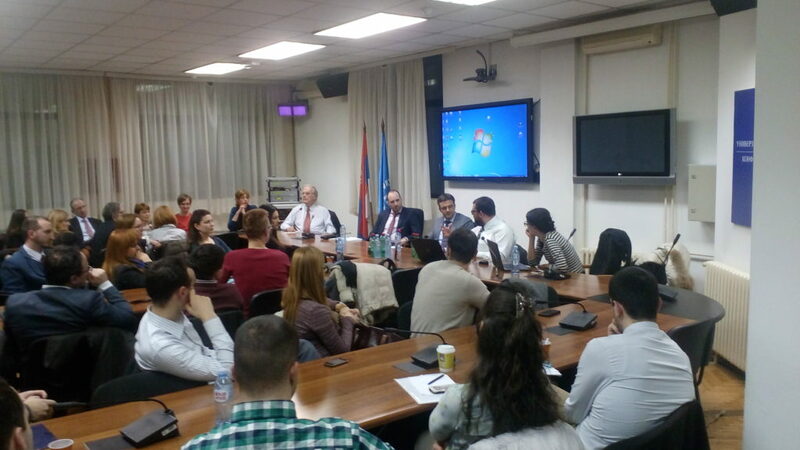 From 2016 the Serbian Fiscal Society in cooperation with the University of Belgrade Faculty of Law organizes the Tax Law Seminar (Tax Evenings). 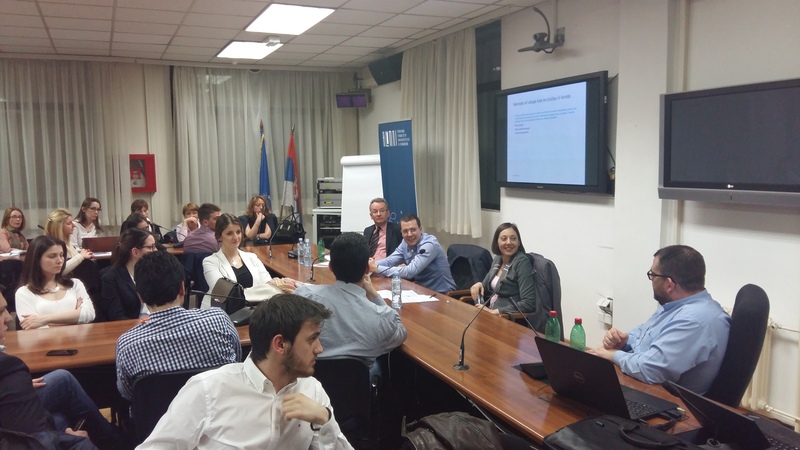 The goal of Tax Evenings is to dedicate ourselves every month to a particular tax law topic. 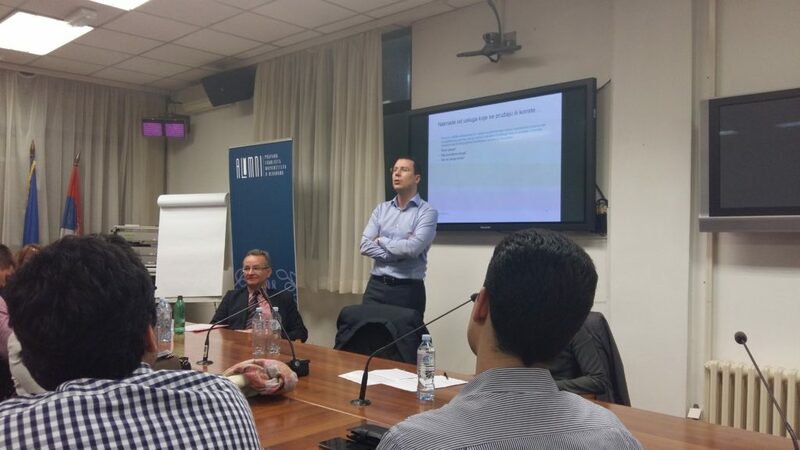 With respect to the structure of Tax Evenings, a selected presenter first provides the audience with his/hers thoughts on the subject of the particular Tax Evening, followed with input statements by panel members. 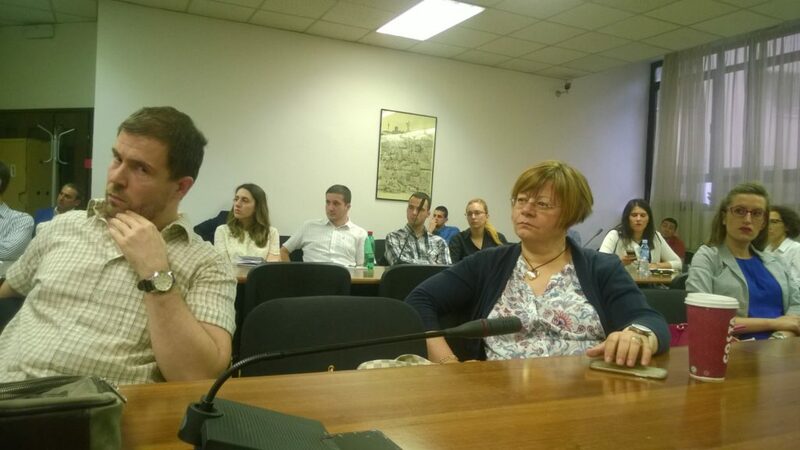 Members of the Tax Evenings audience are also free to raise questions. 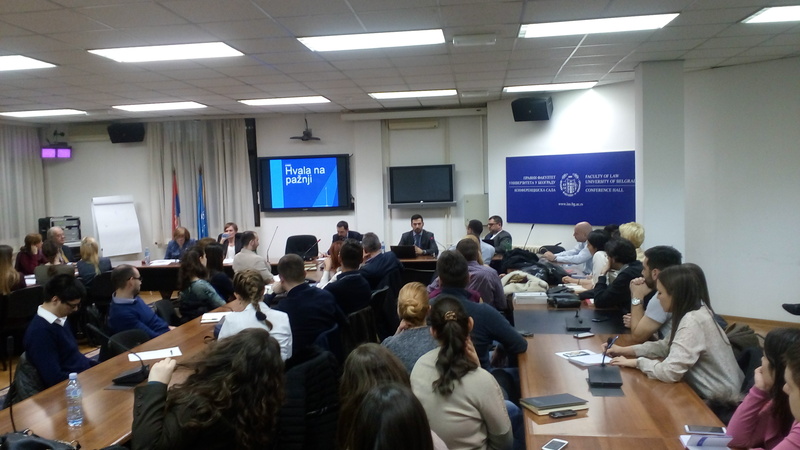 Tax Evenings are open to the public. 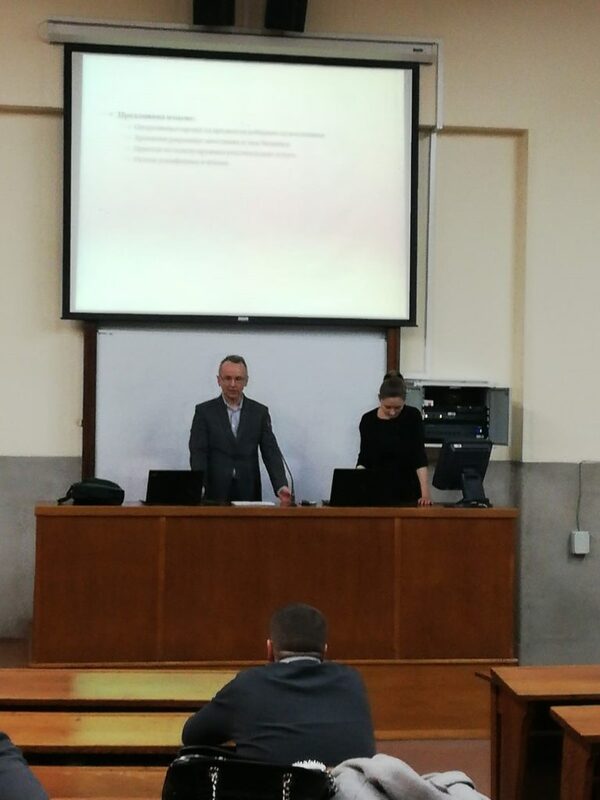 Slobodanka Kolundžija, LL.M, manager Deloitte. 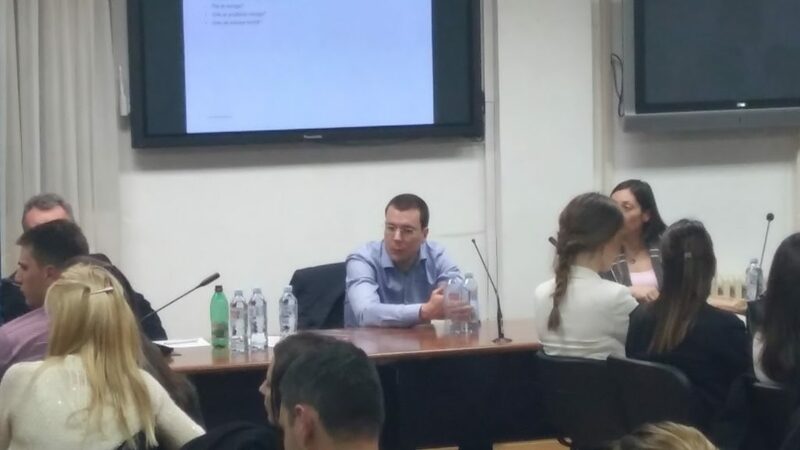 Dejan Mraković, LL.M, tax partner Deloitte. 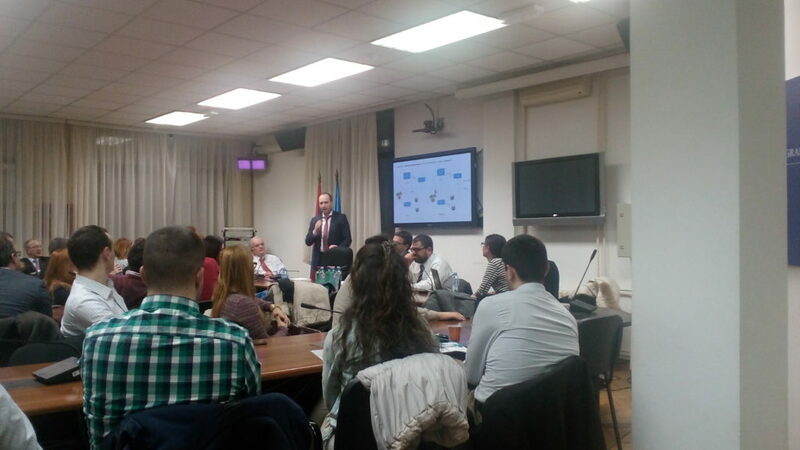 the IT sector and differentiating between an employee and an independent service provider. 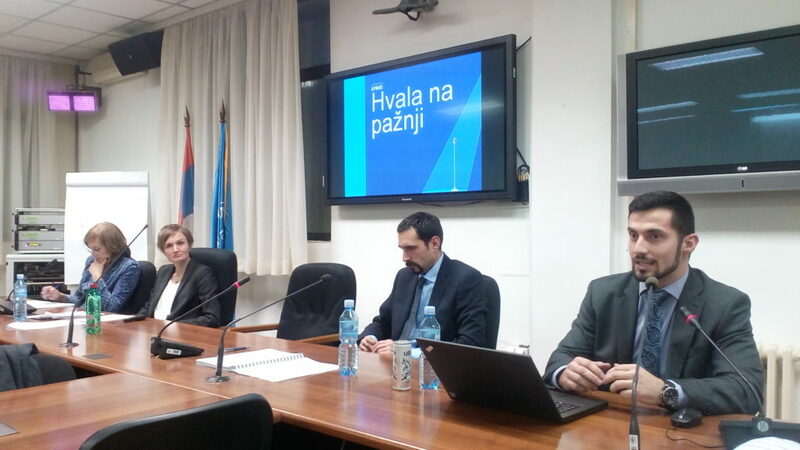 Download the presentations here and here. 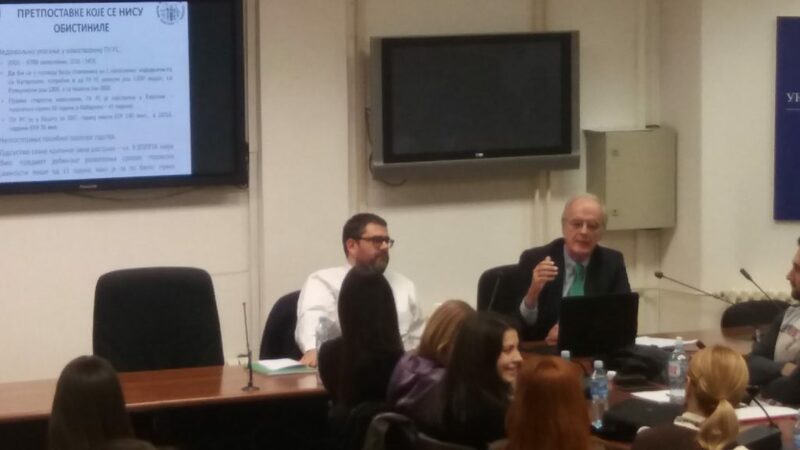 Our speaker at the XIX Tax Evening was Diego Quiñones from the University of Oxford. 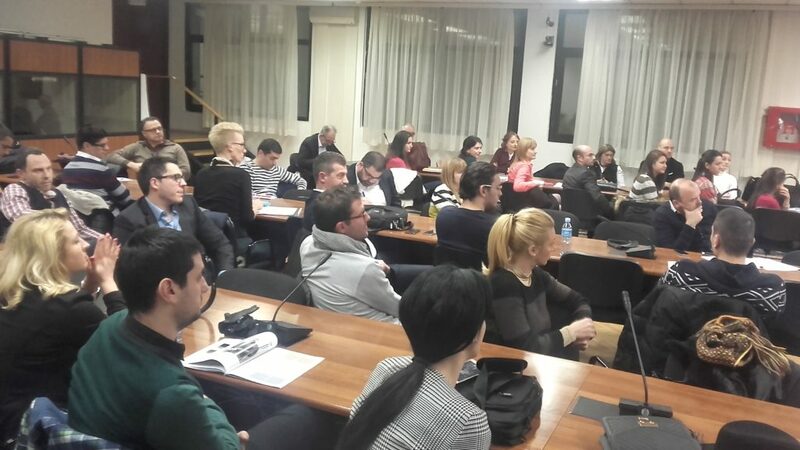 The XIX Tax Evening was held in English only, while this is the first Tax Evening which was recorded and is available online. 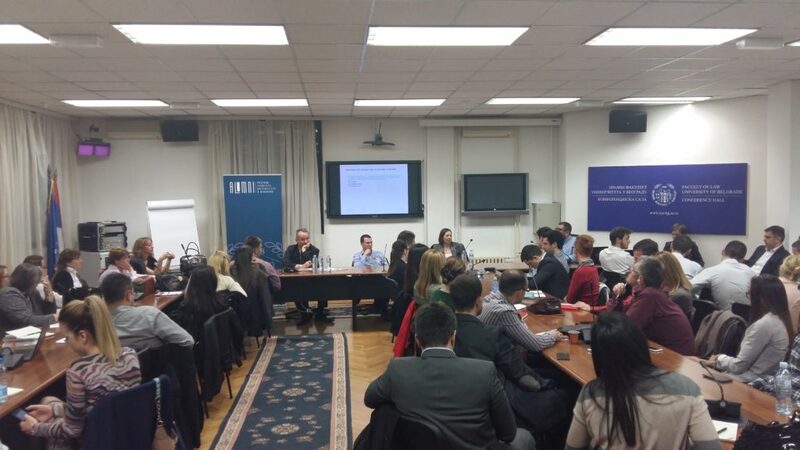 Access the recording of the XIX Tax Evening here. Valentin Savov, Partner at the Law office Savov & Partners from Sofia and President of IFA Bulgaria. 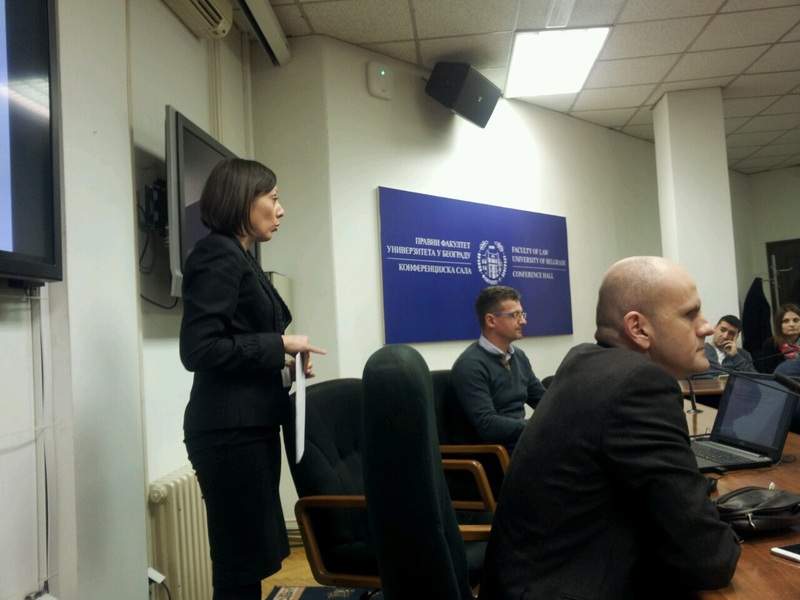 Tijana Matarugić, senior prosecutor associate at the First Basic Public Prosecutor’s Office in Belgrade. 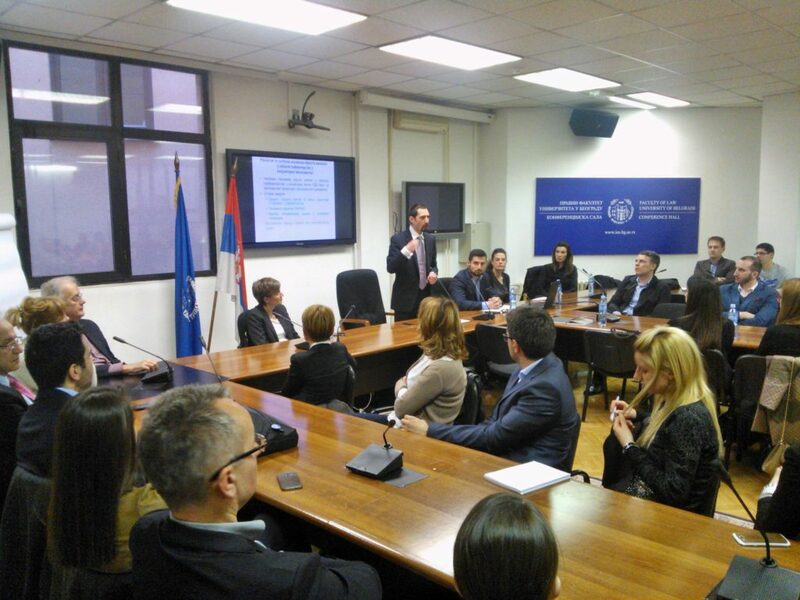 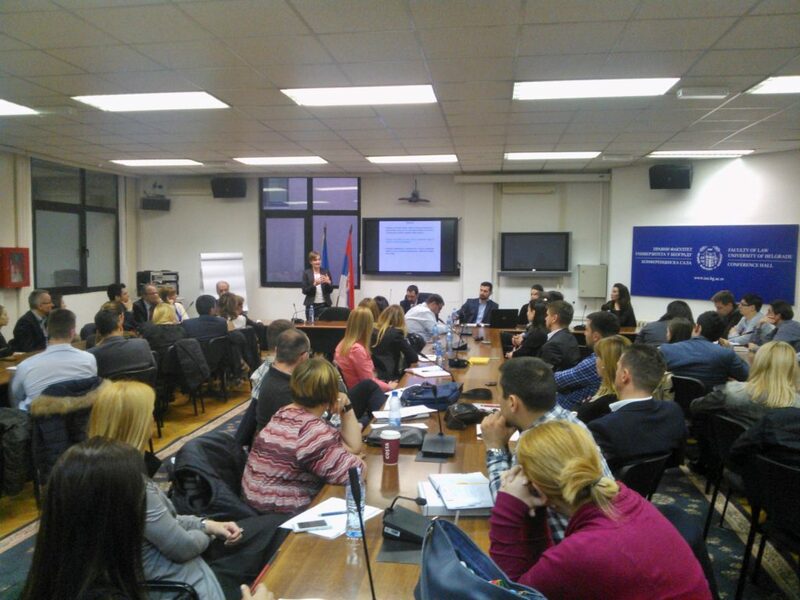 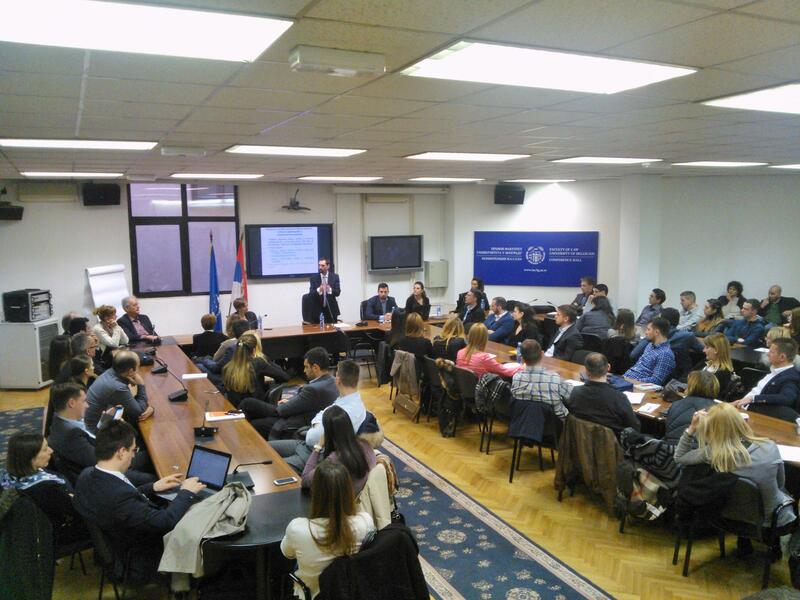 BEPS Action Plan and its implications on transfer pricing legislation, both globally and in Serbia. 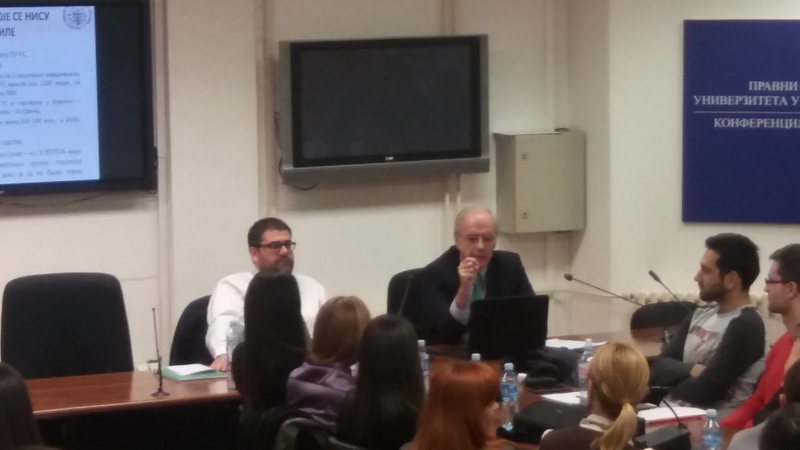 Dr. Svetislav V. Kostić, University of Belgrade Faculty of Law. 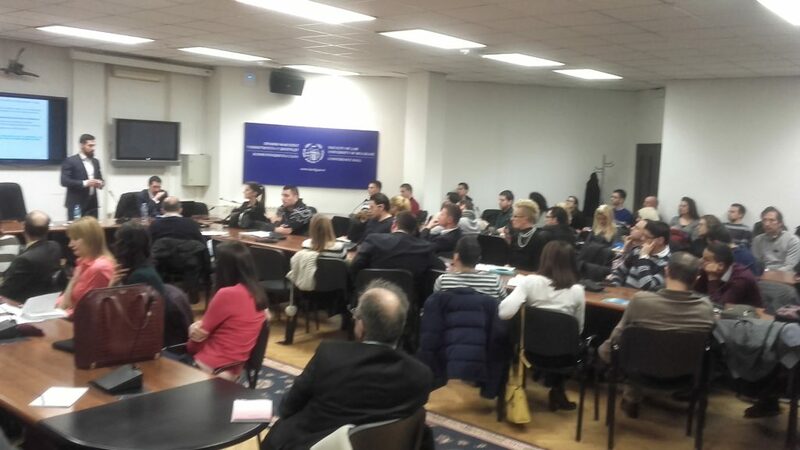 The XV Tax Evening was our first Tax Evening to be held in English only. 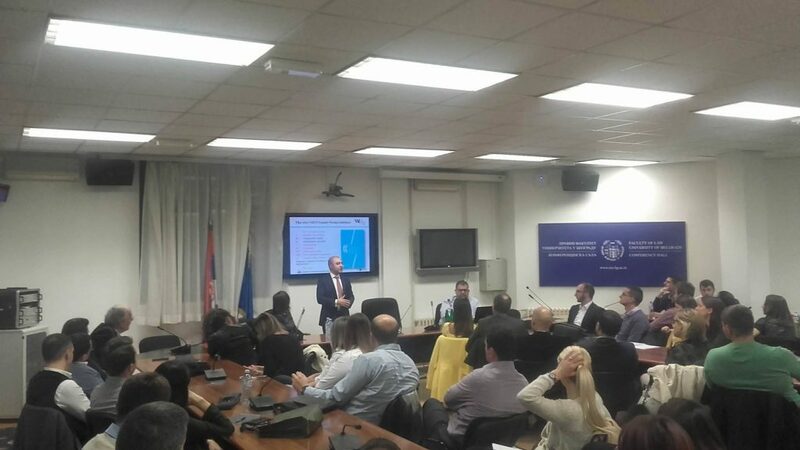 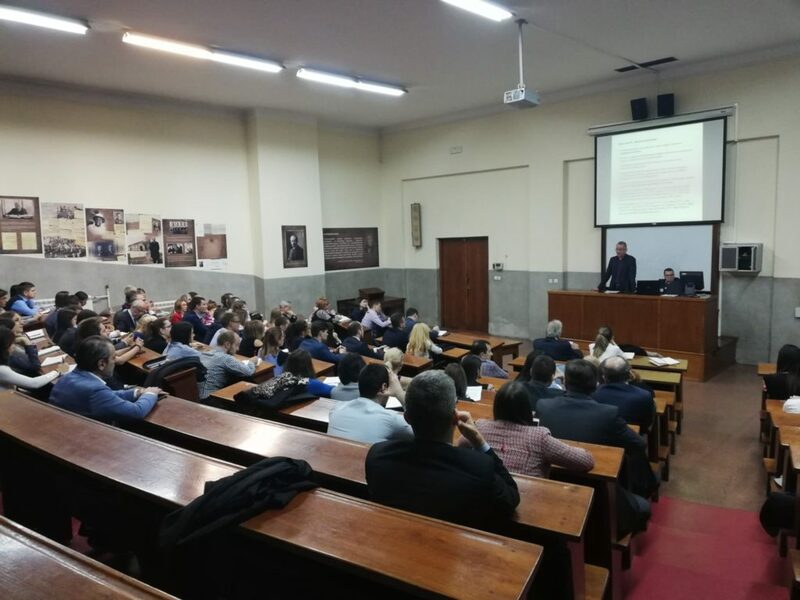 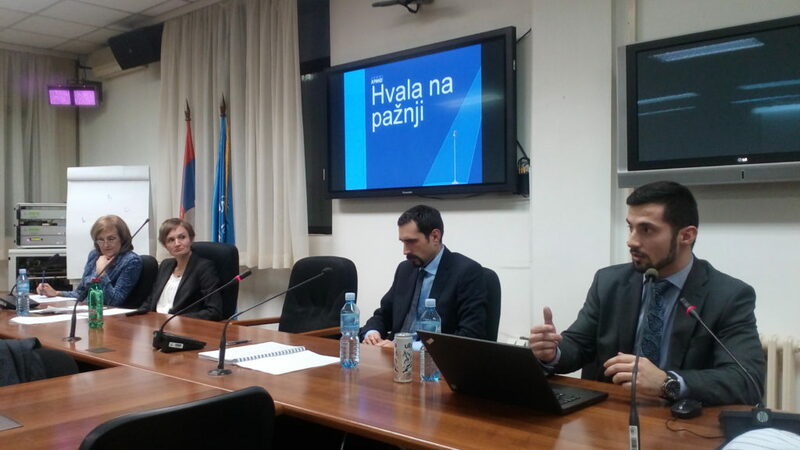 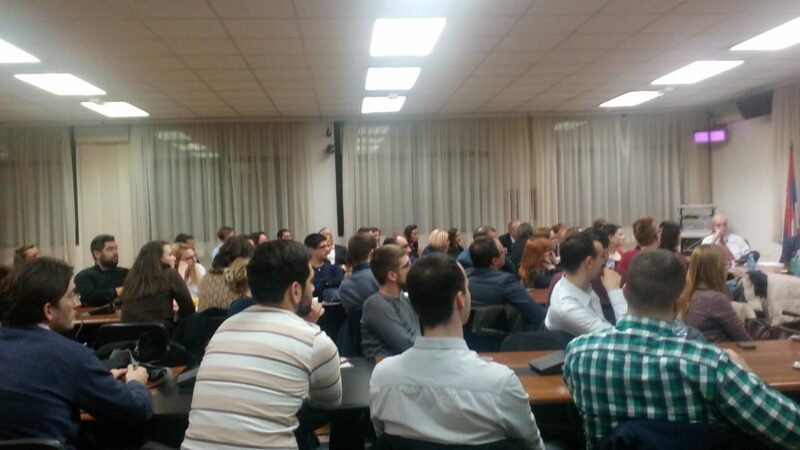 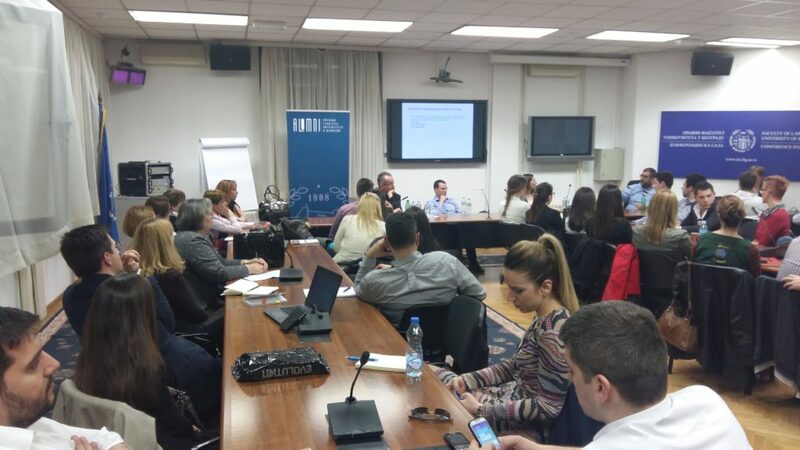 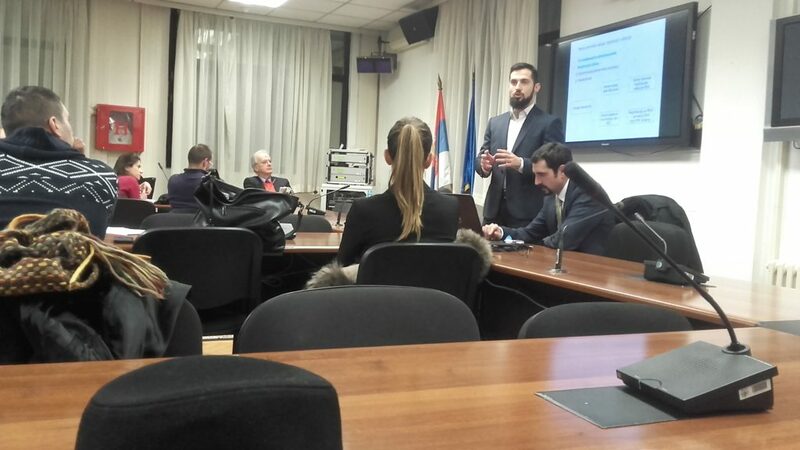 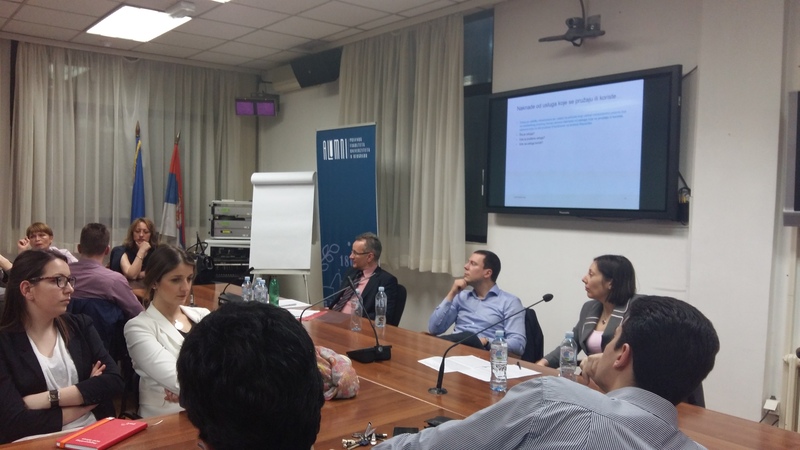 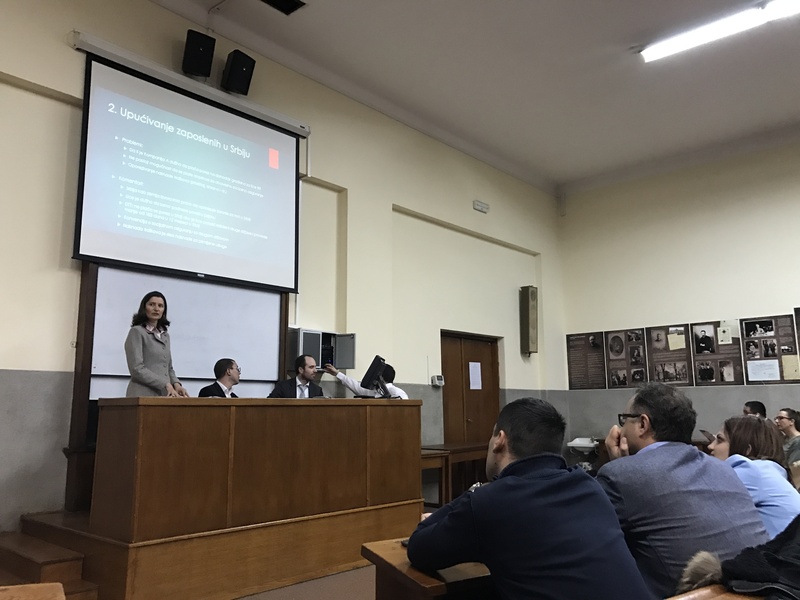 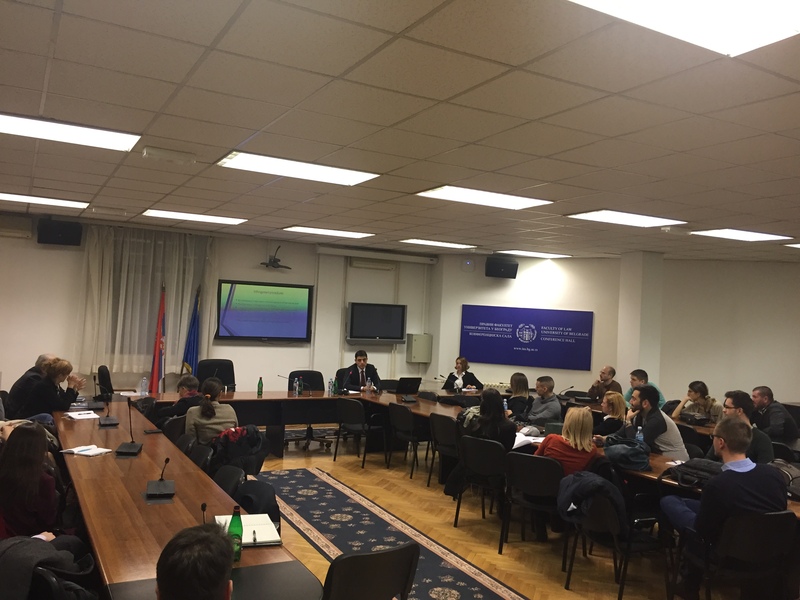 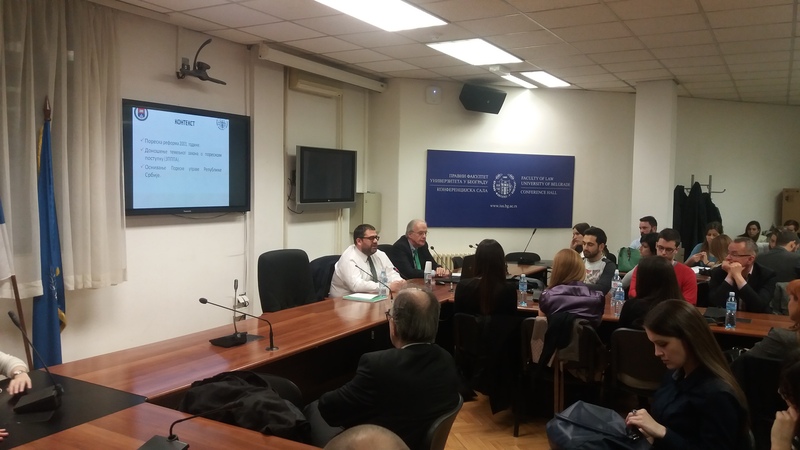 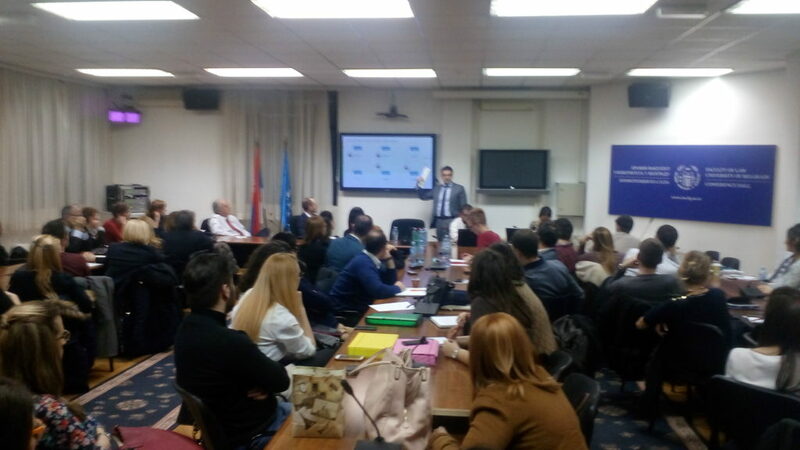 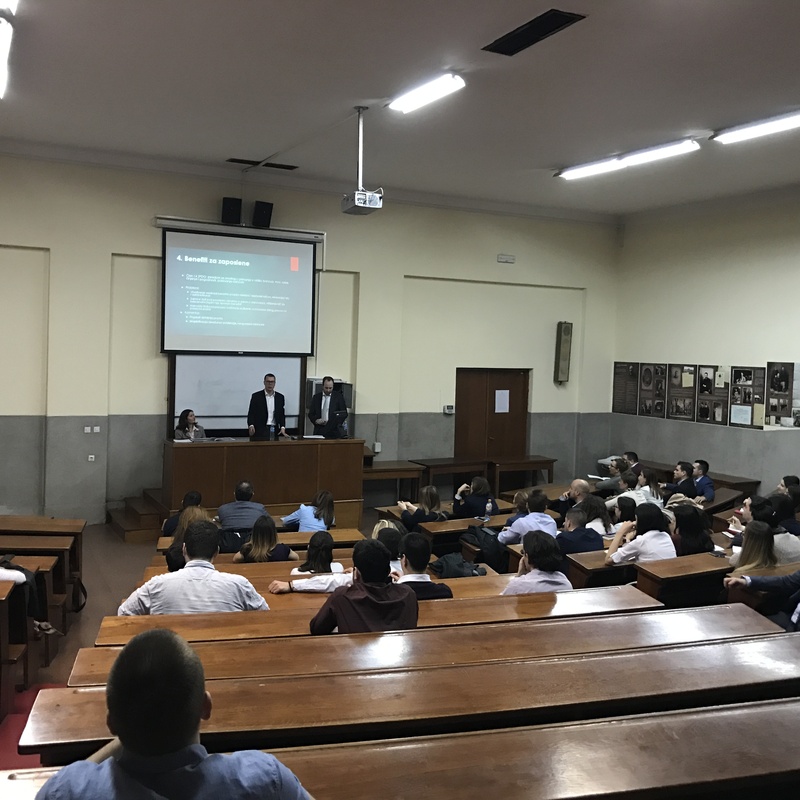 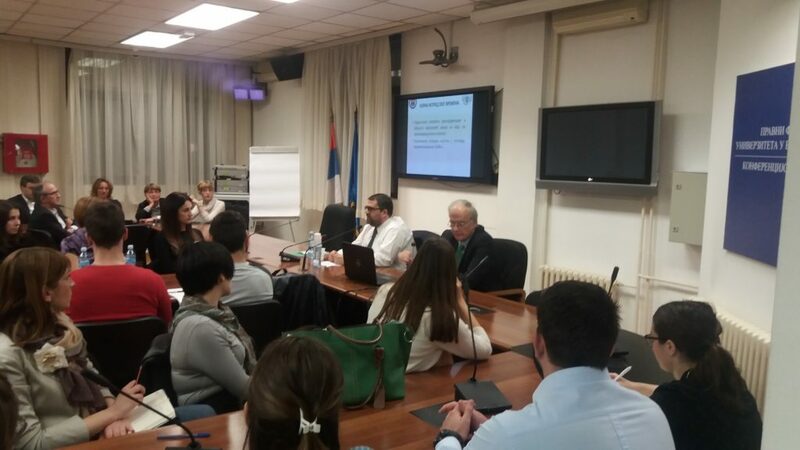 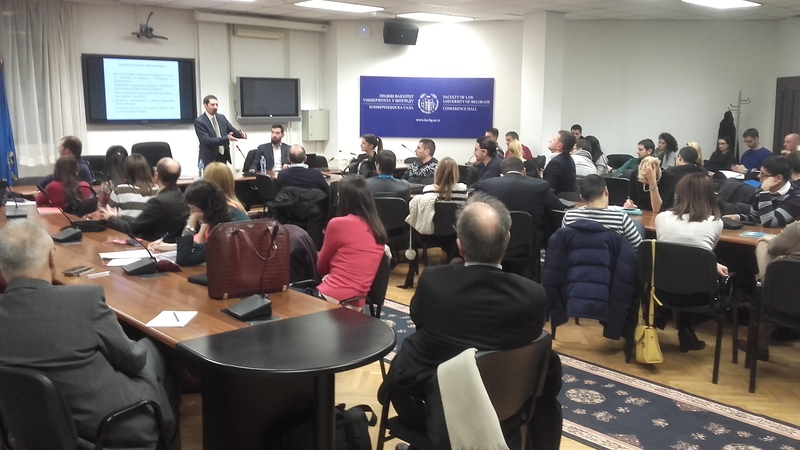 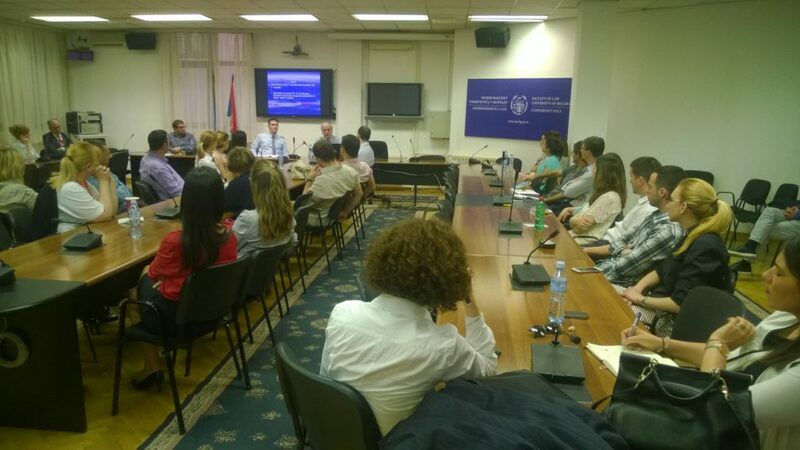 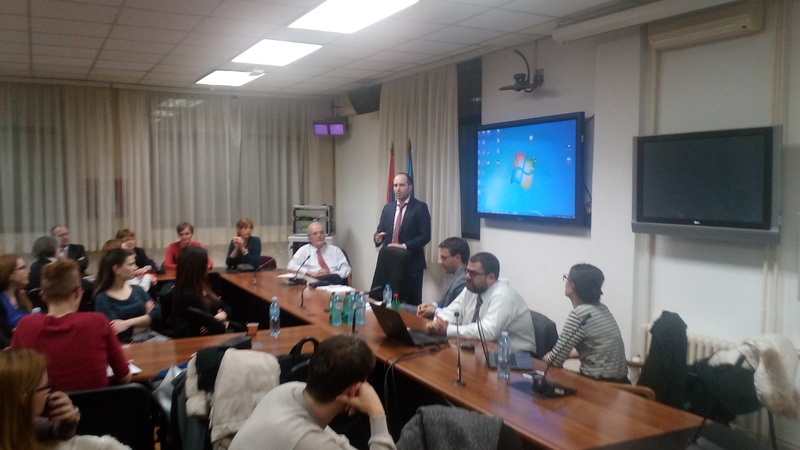 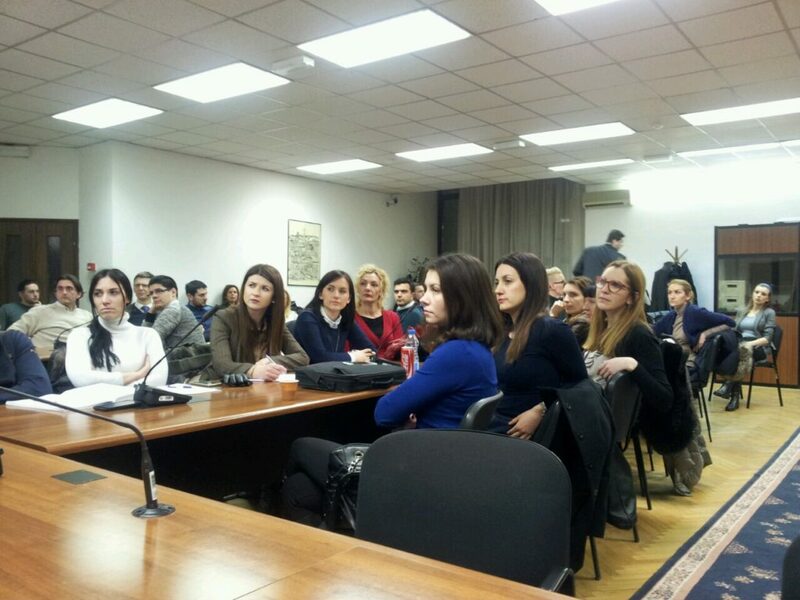 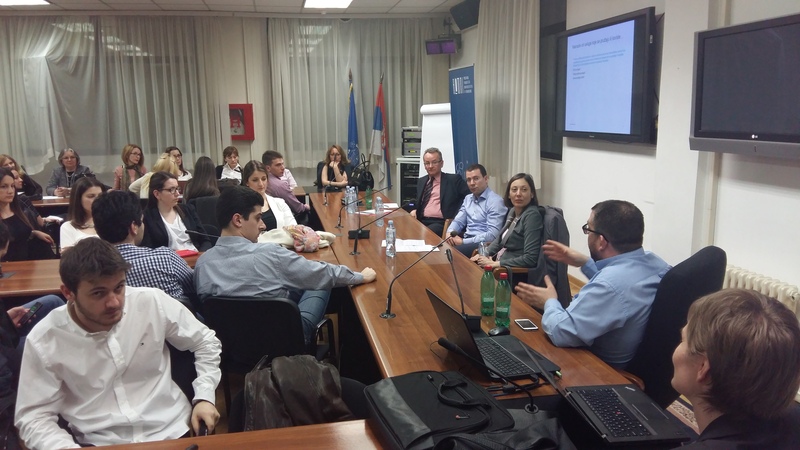 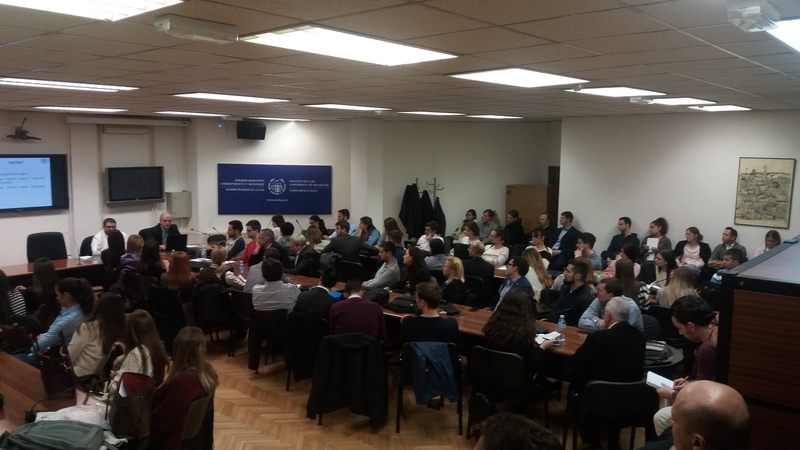 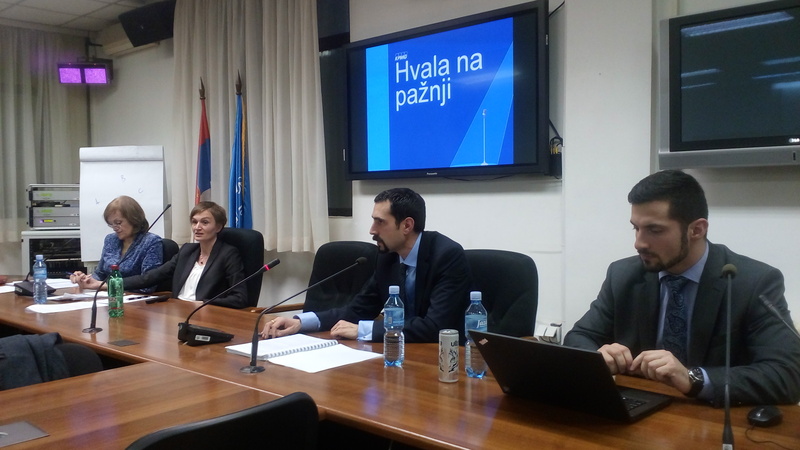 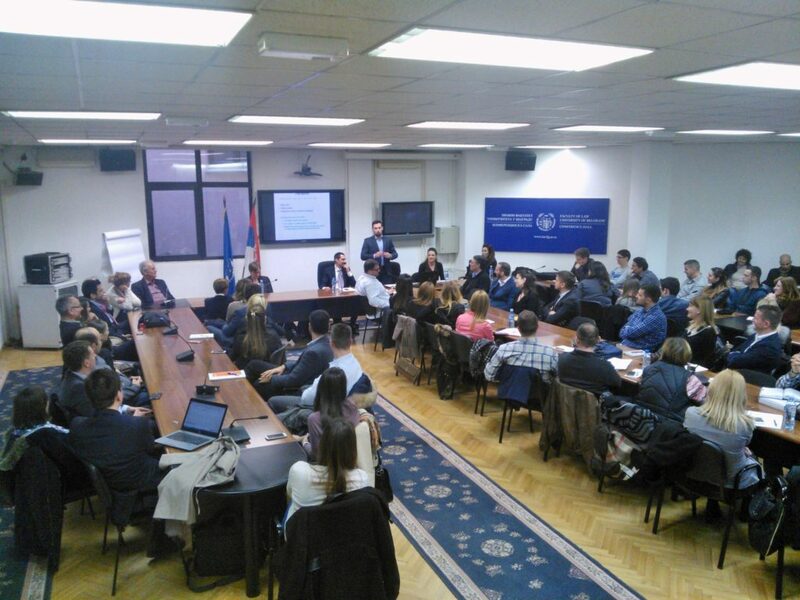 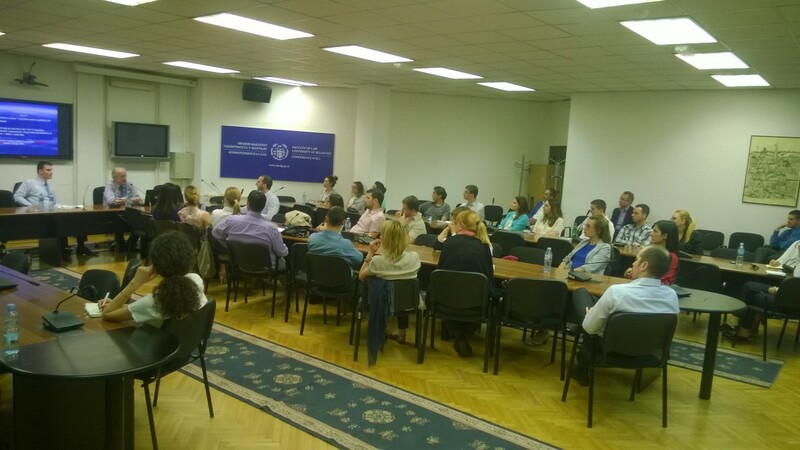 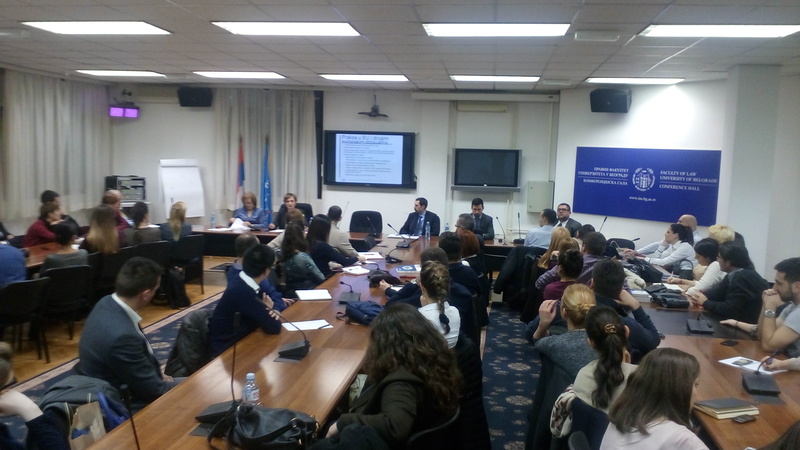 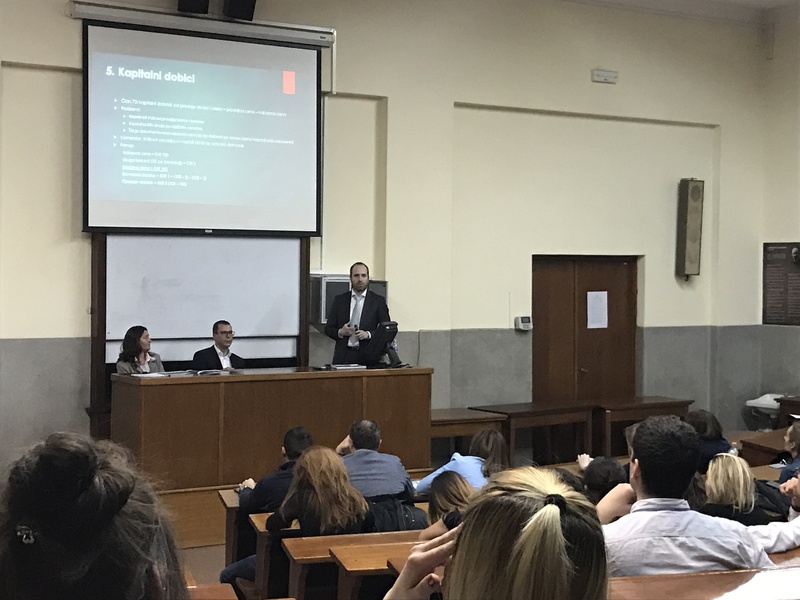 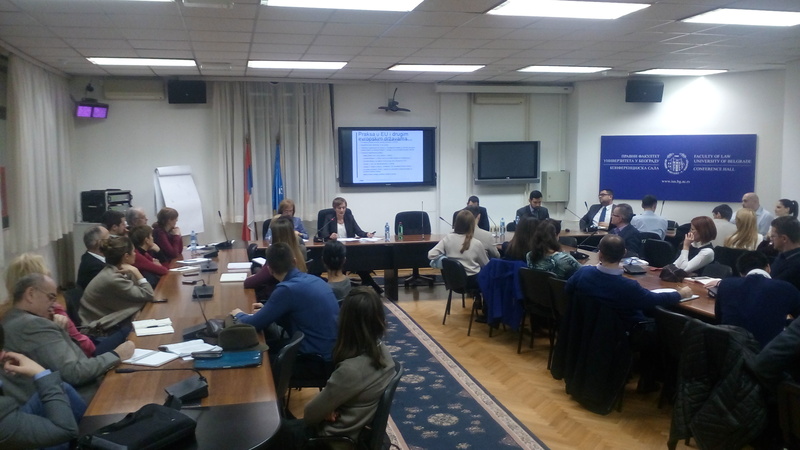 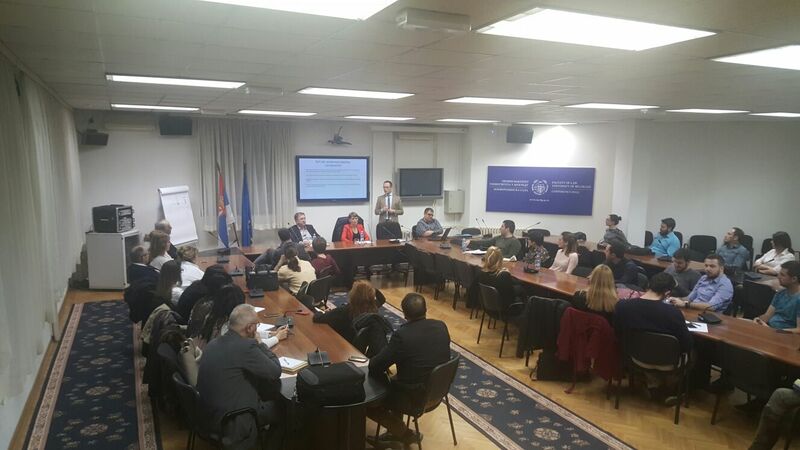 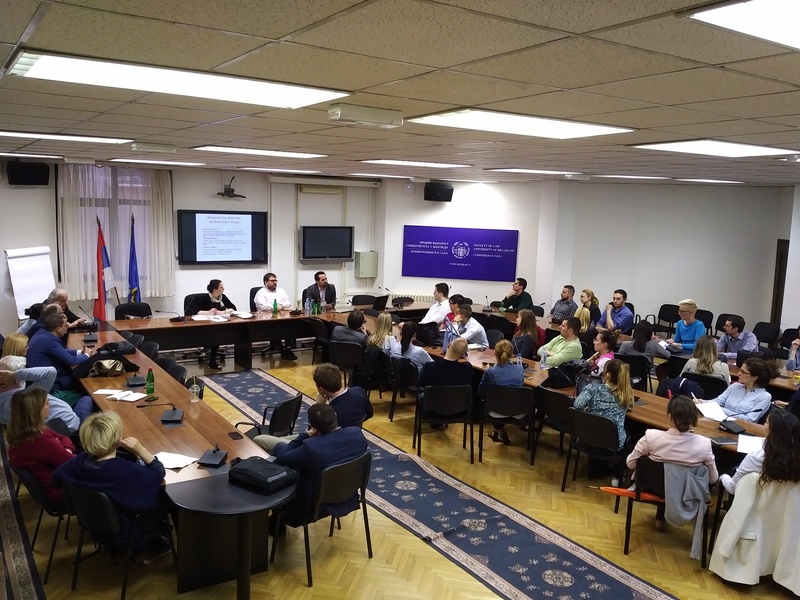 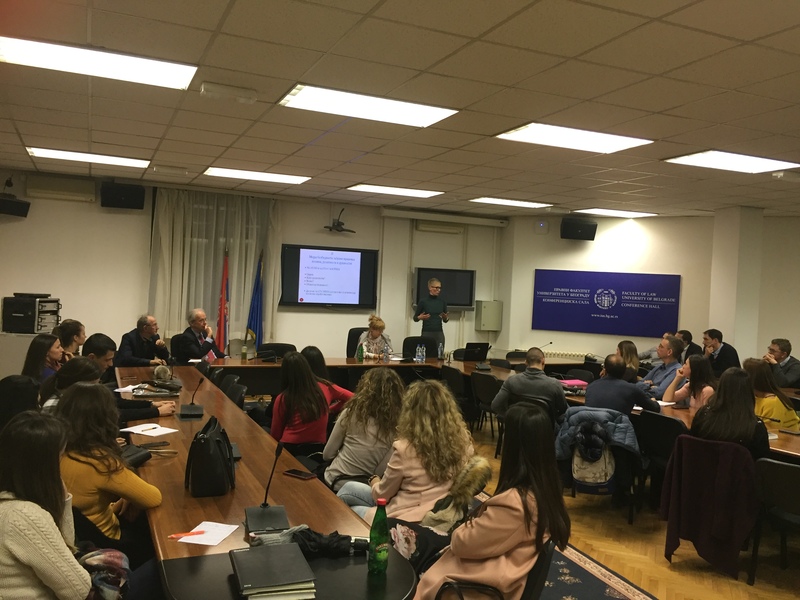 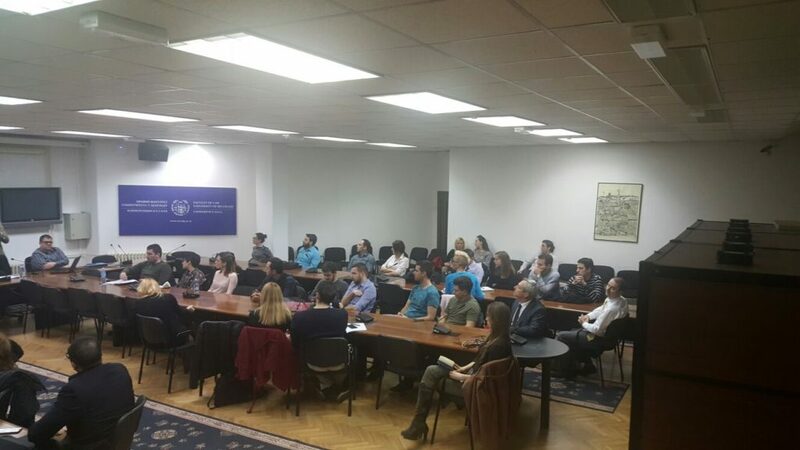 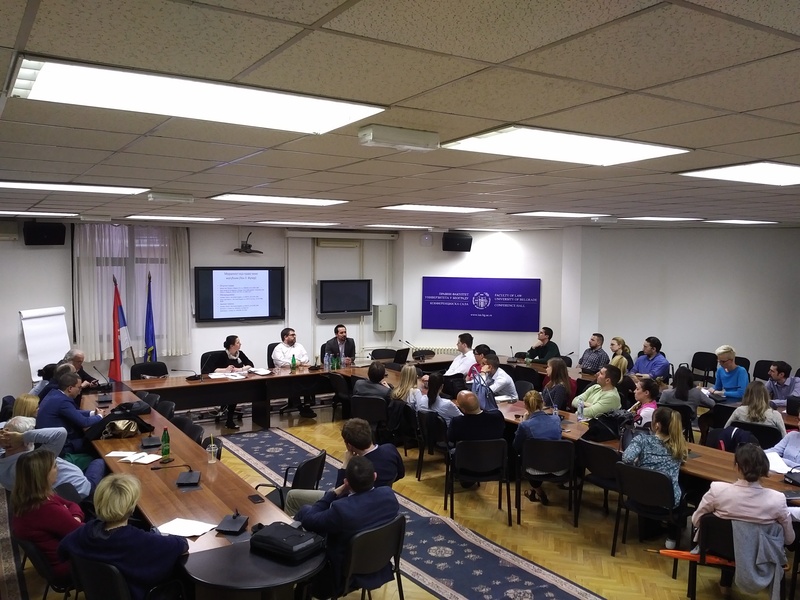 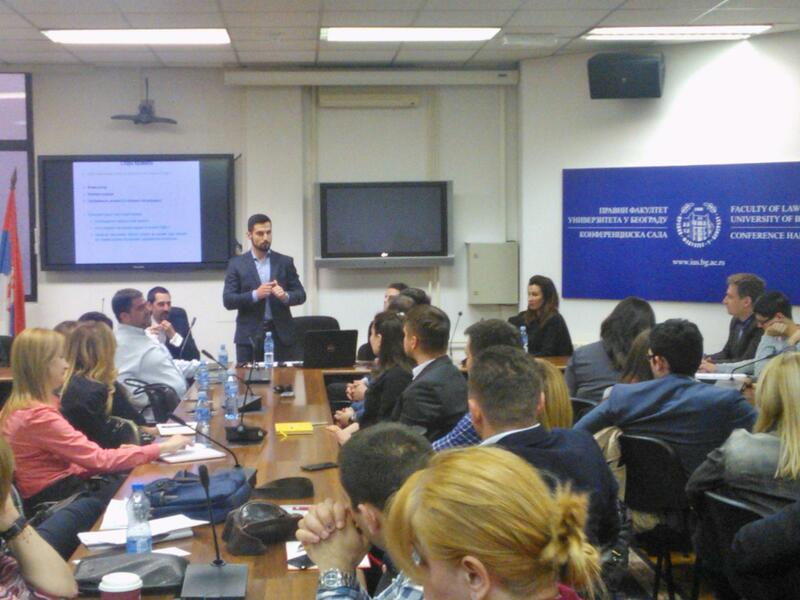 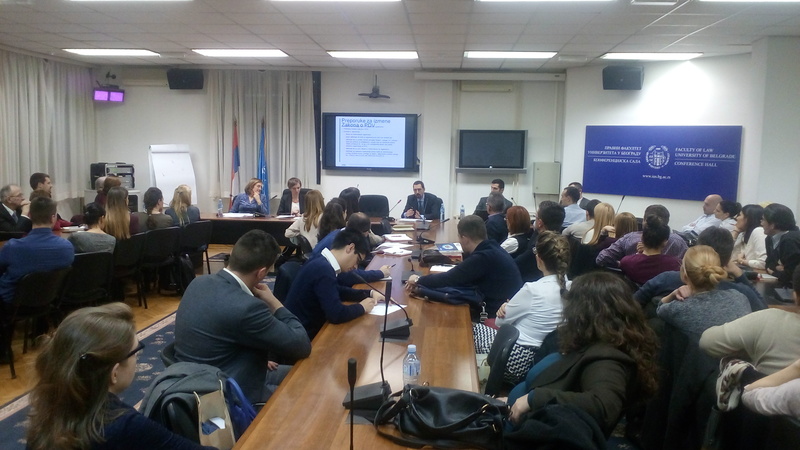 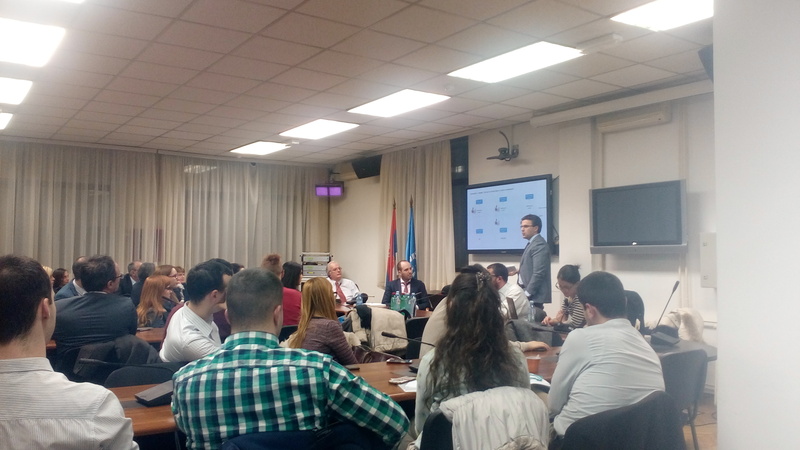 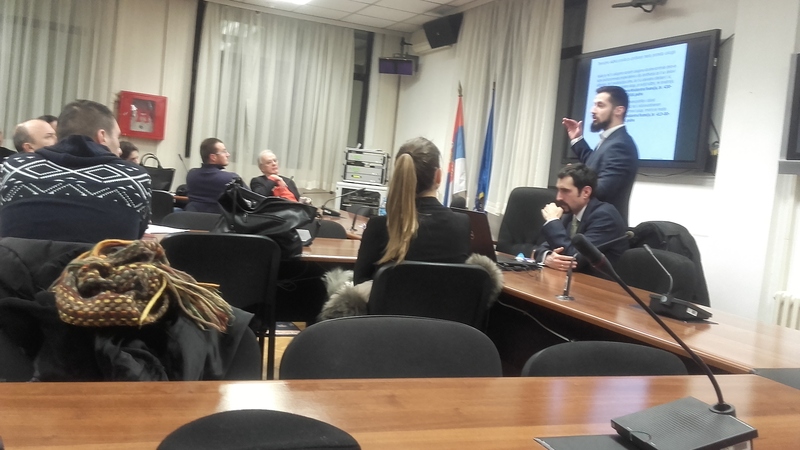 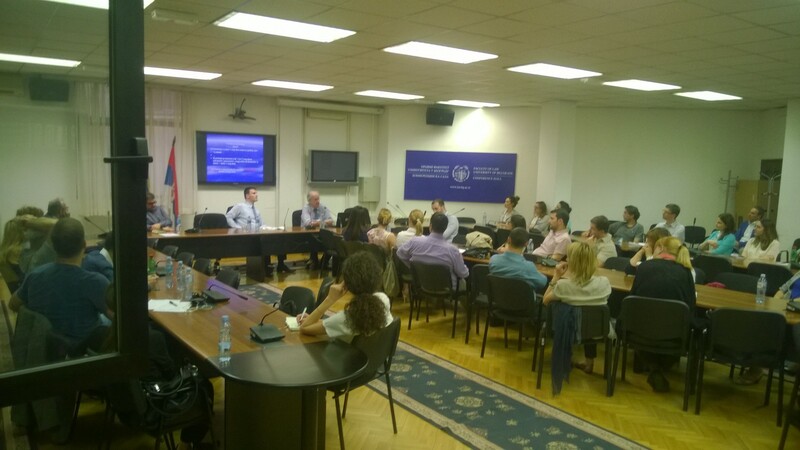 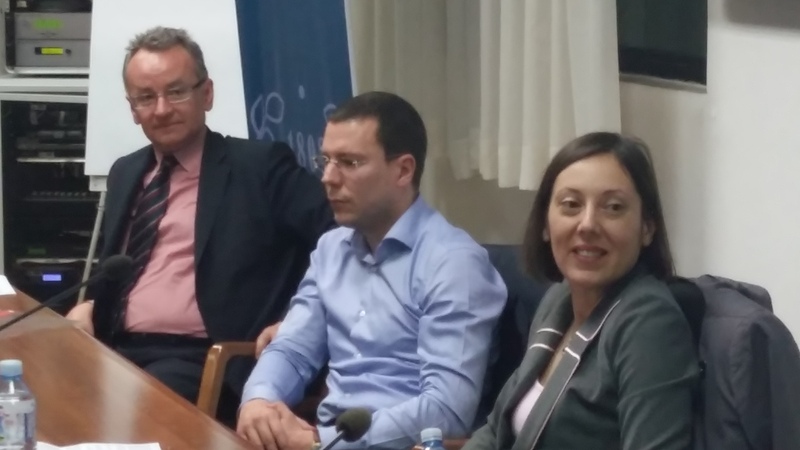 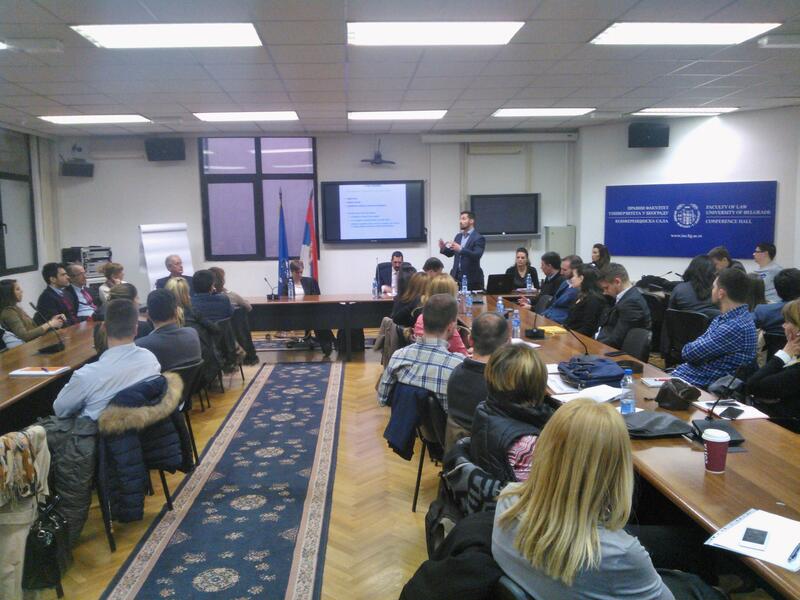 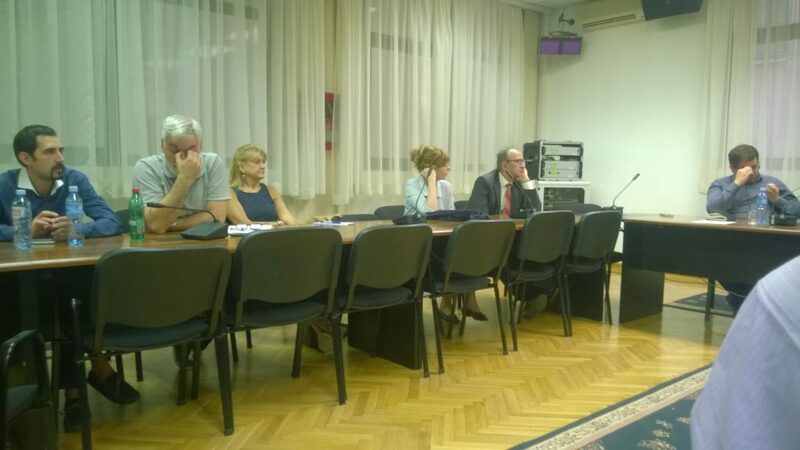 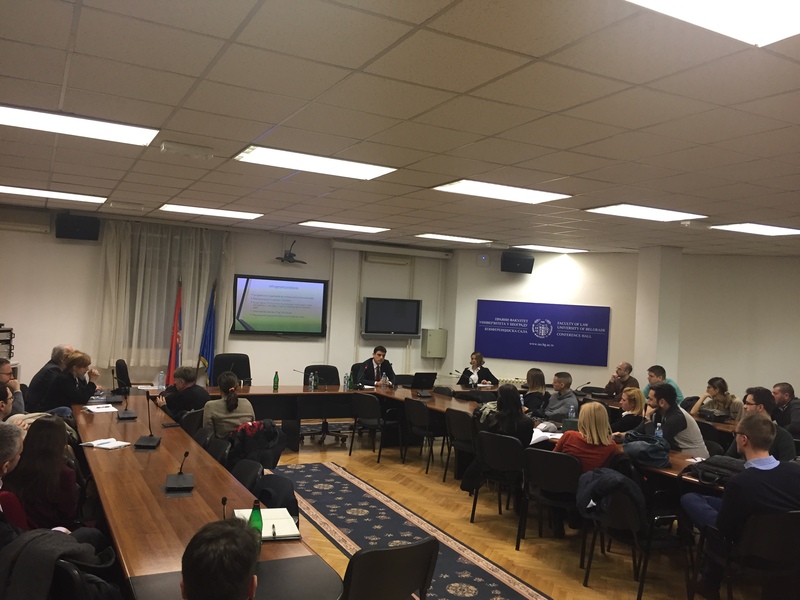 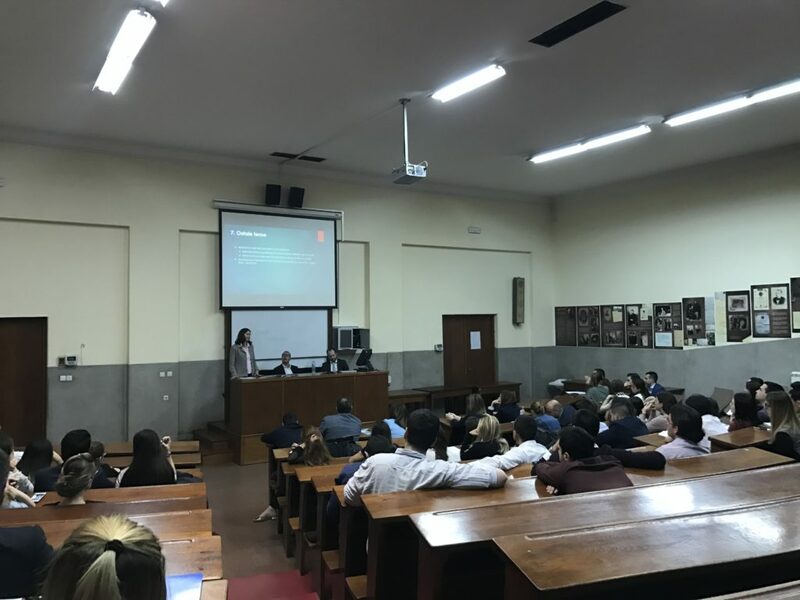 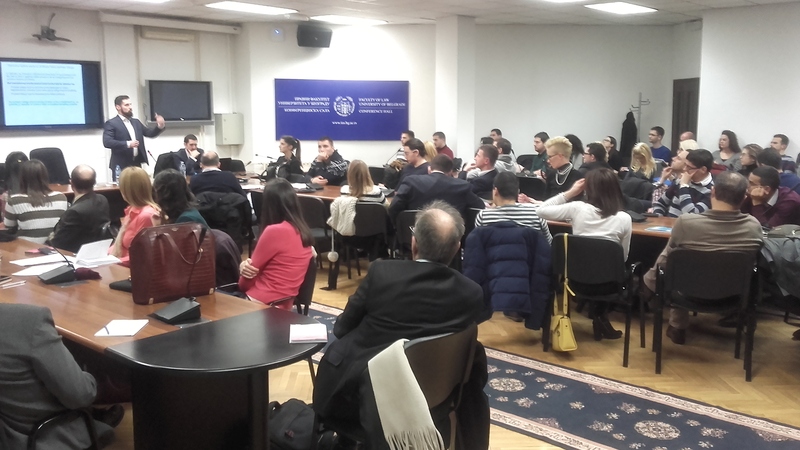 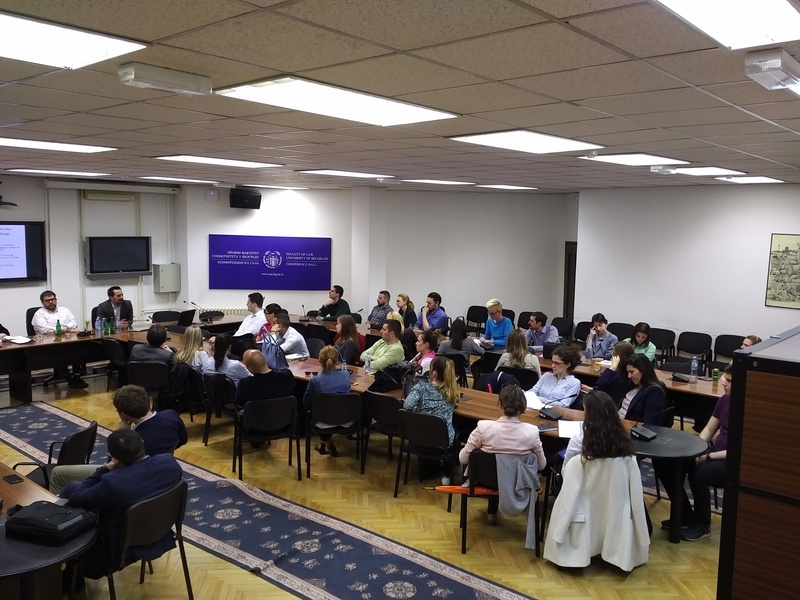 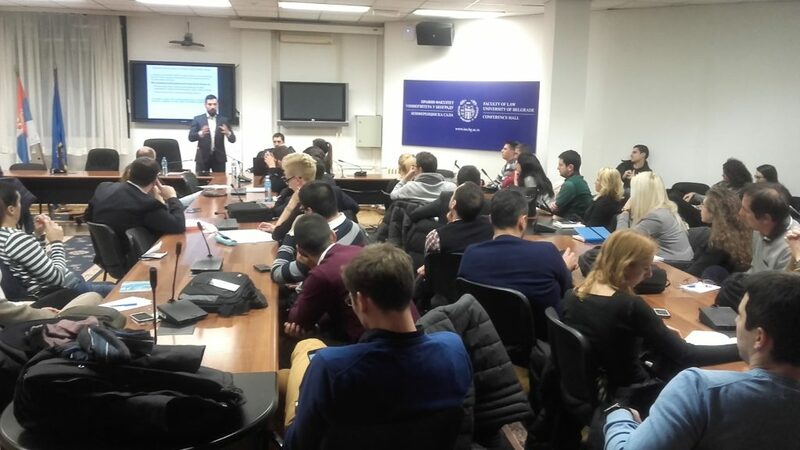 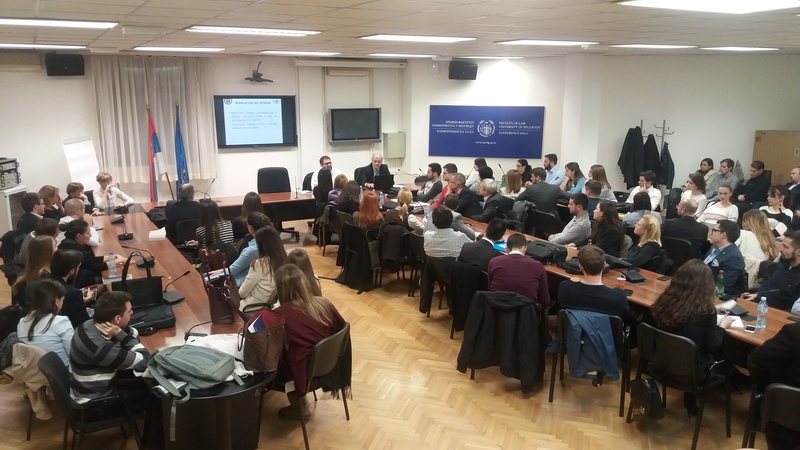 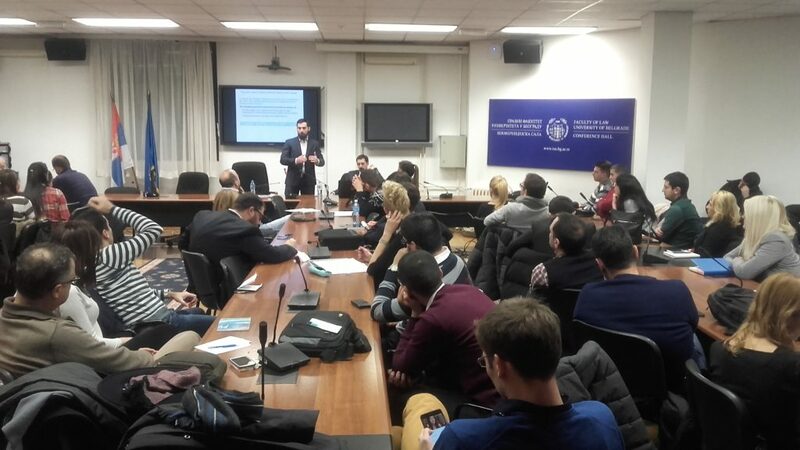 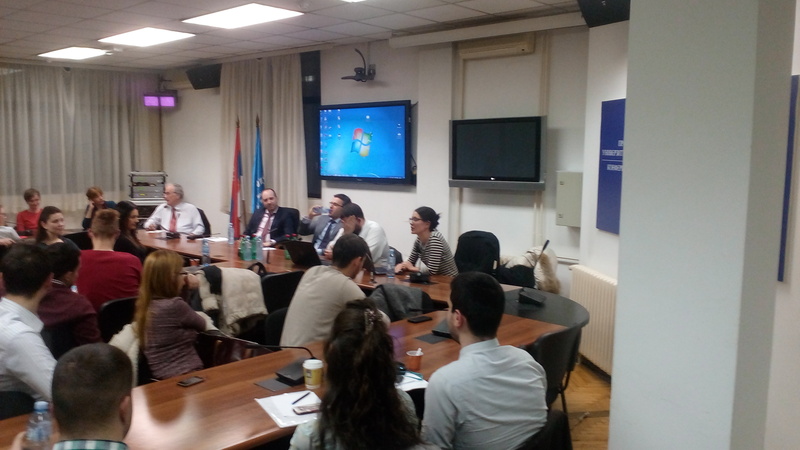 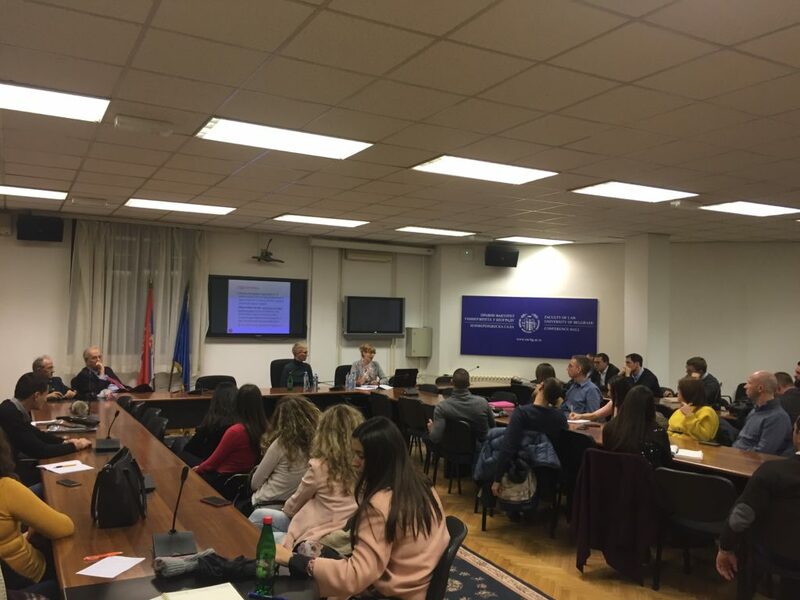 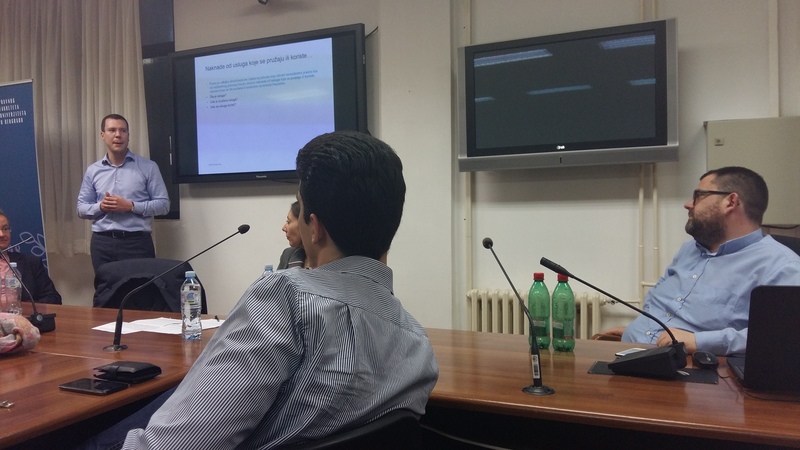 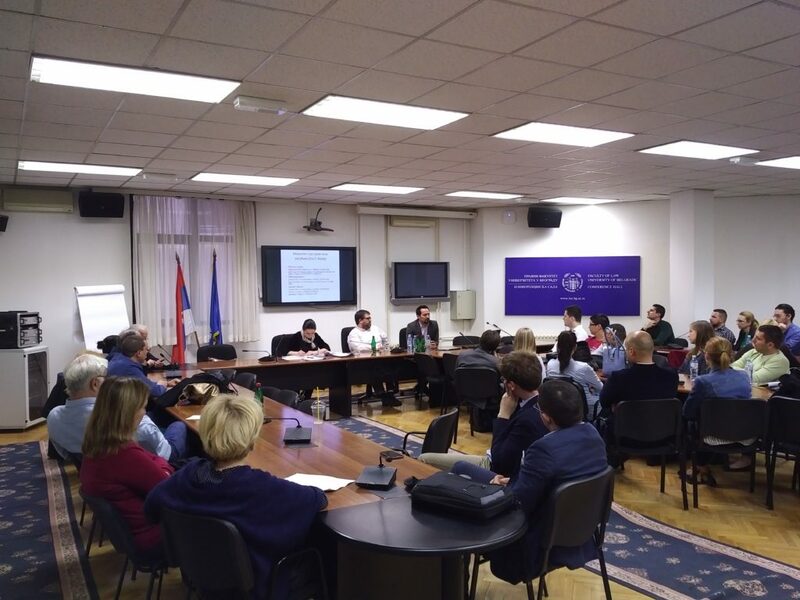 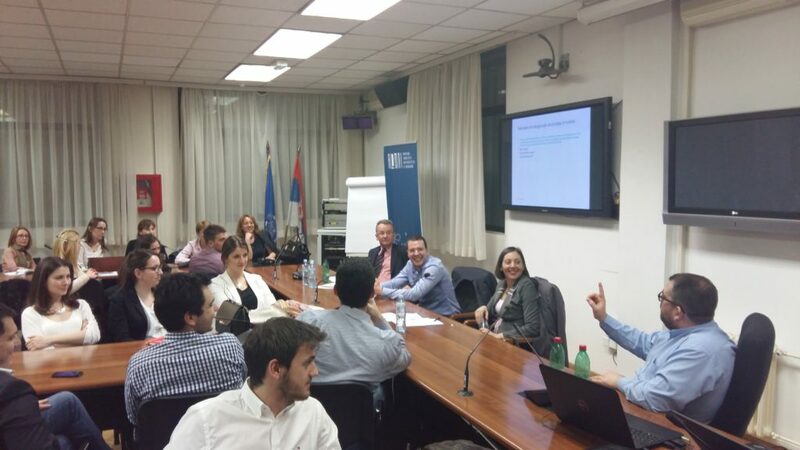 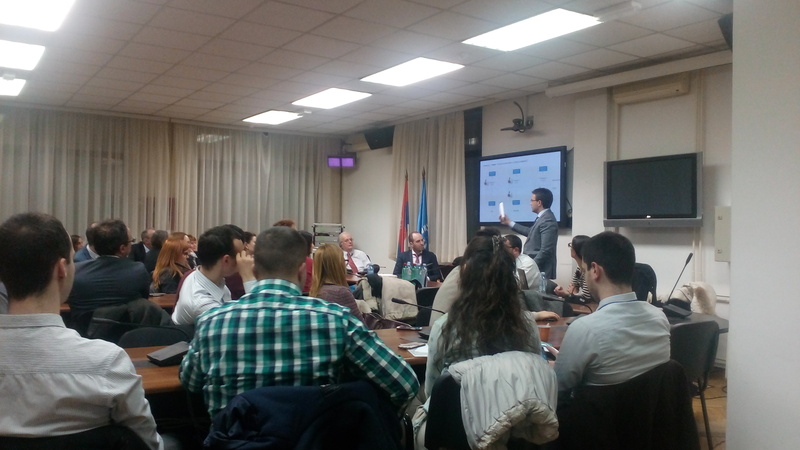 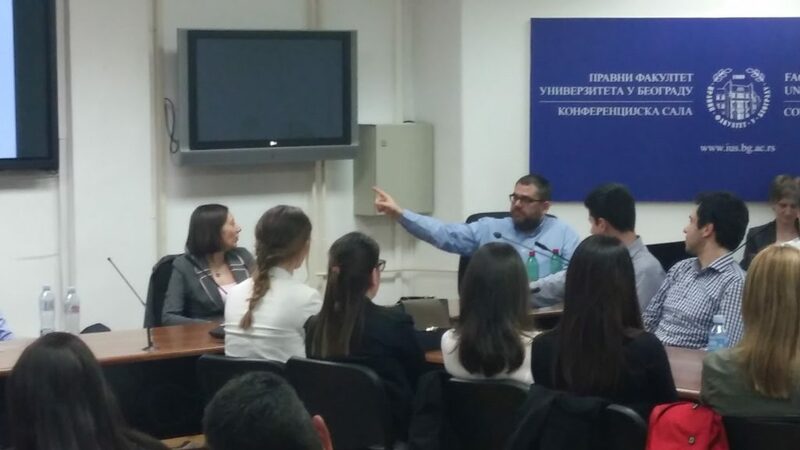 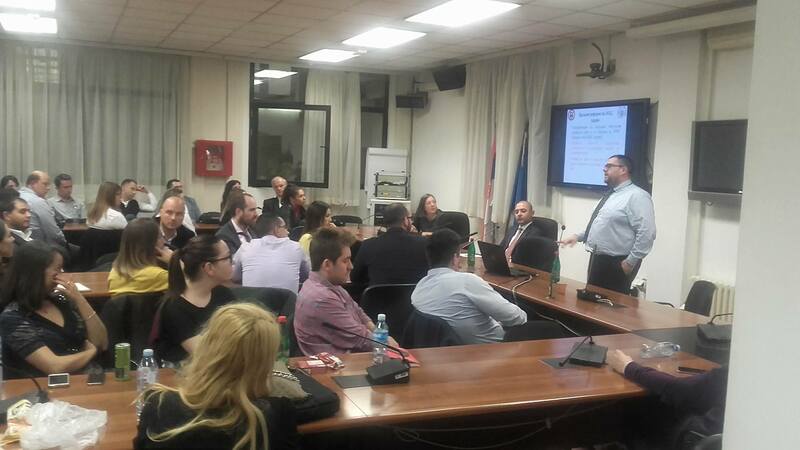 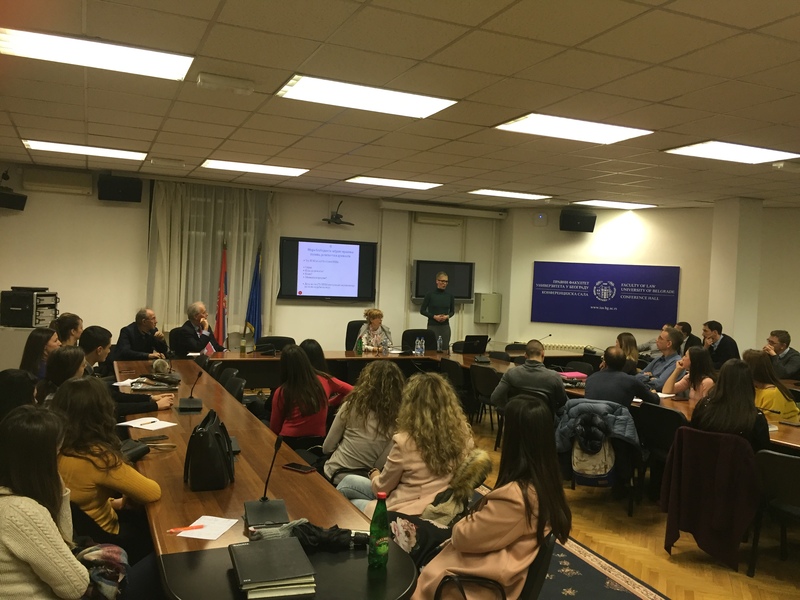 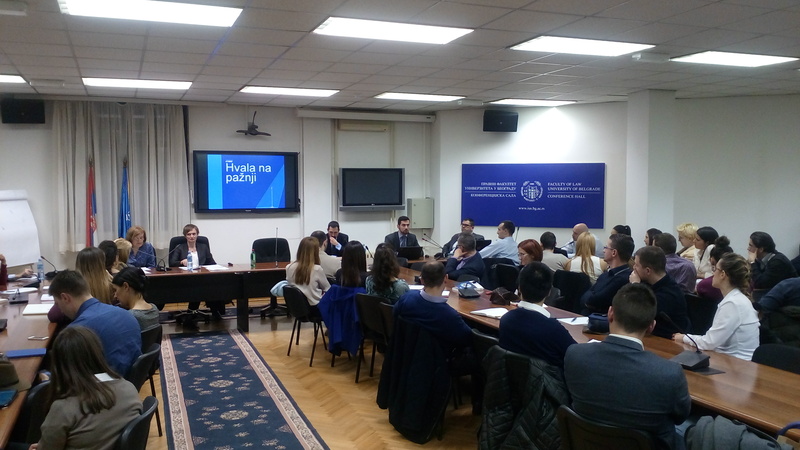 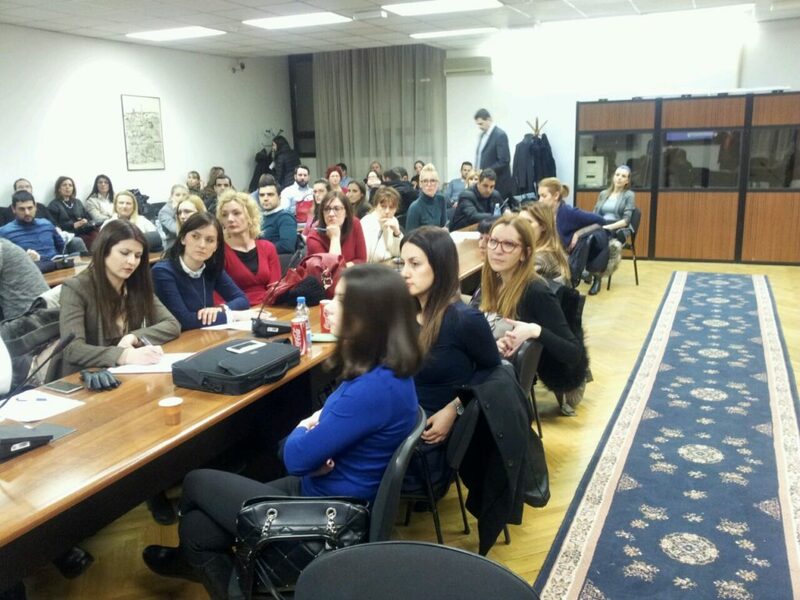 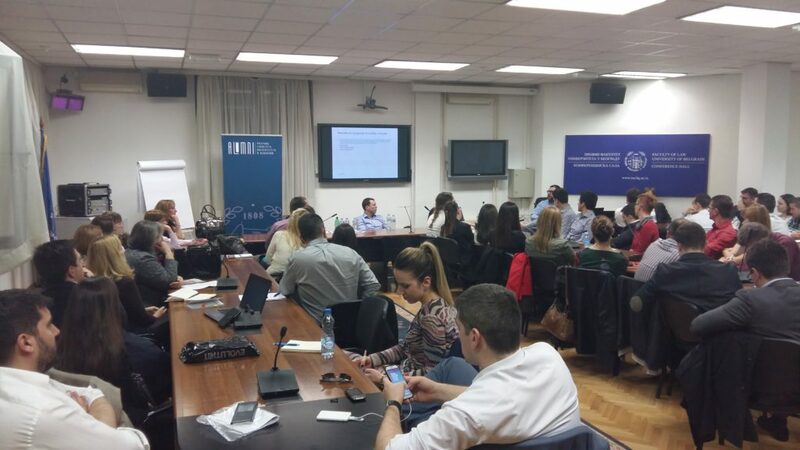 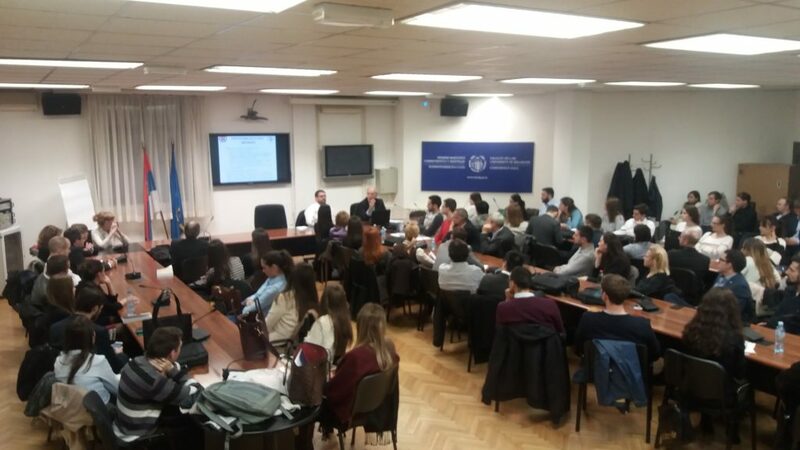 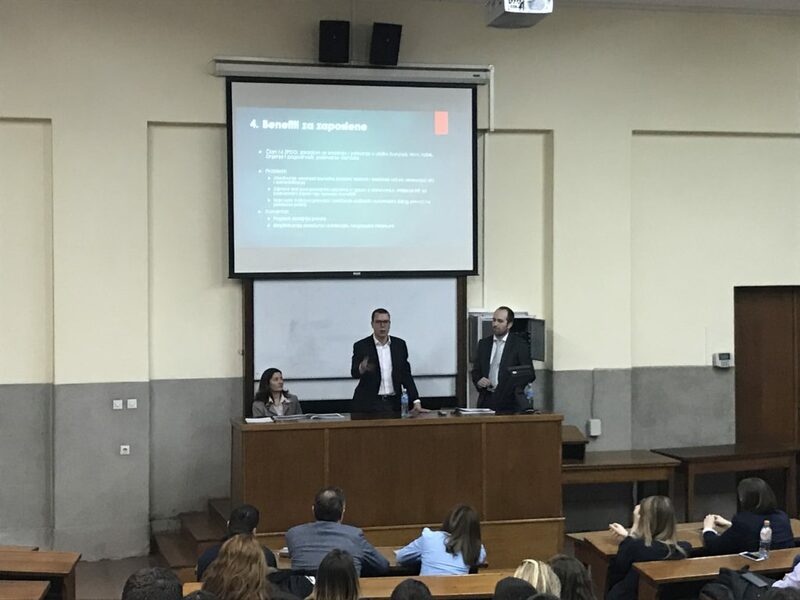 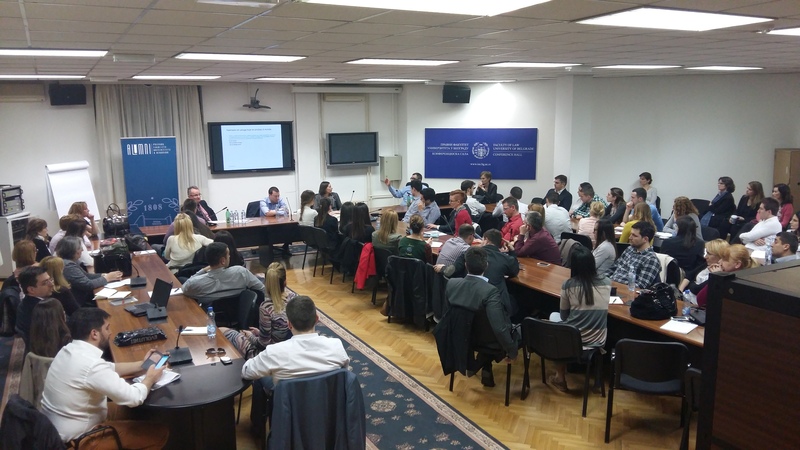 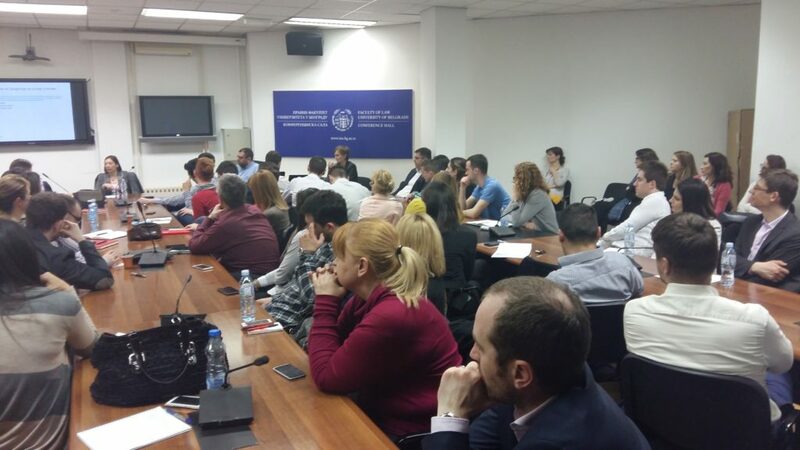 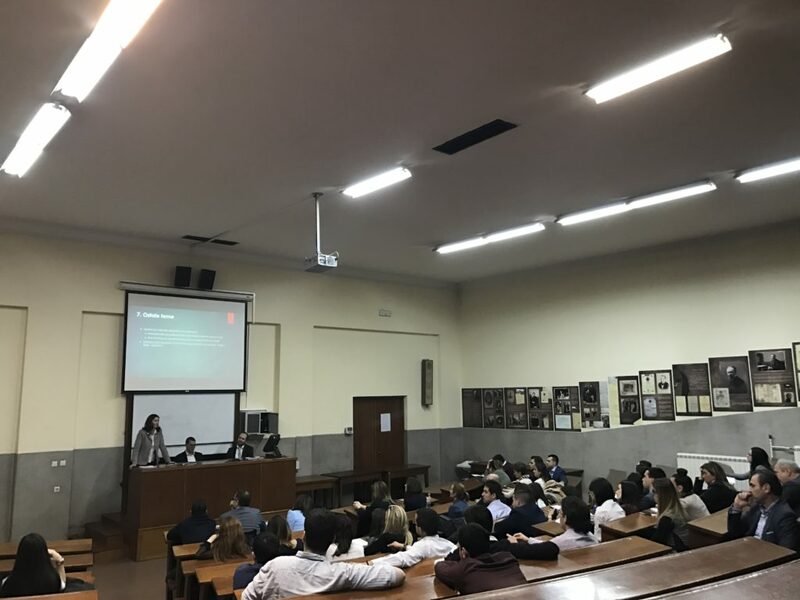 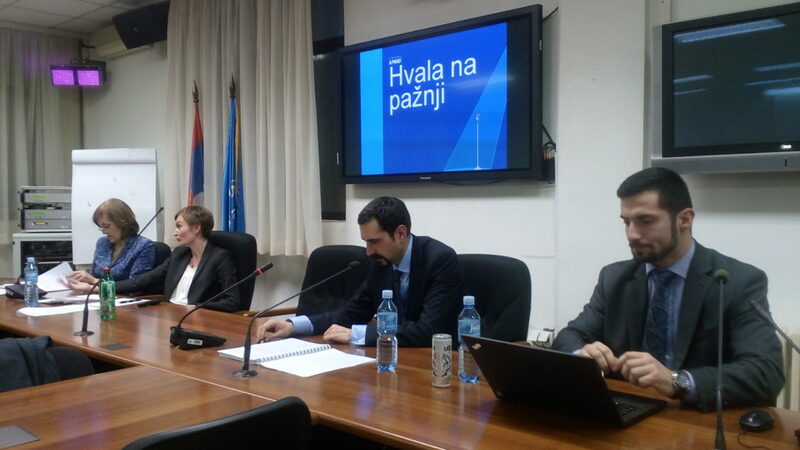 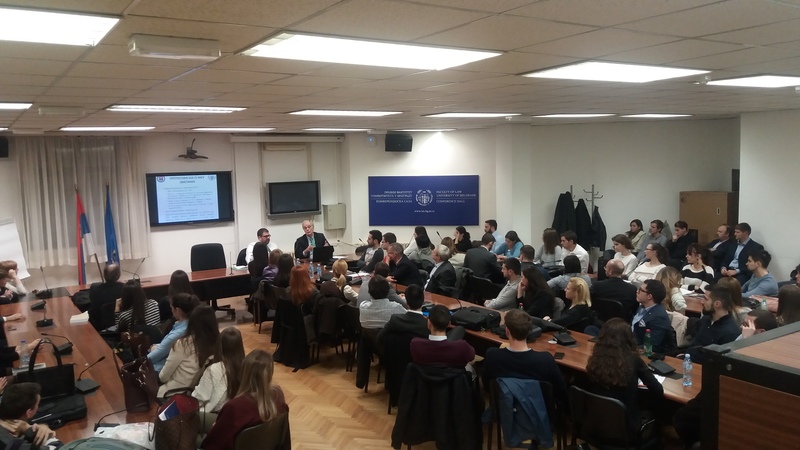 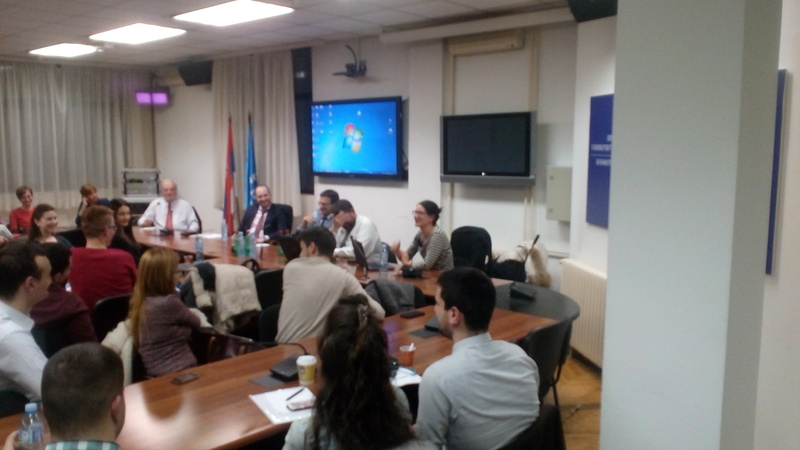 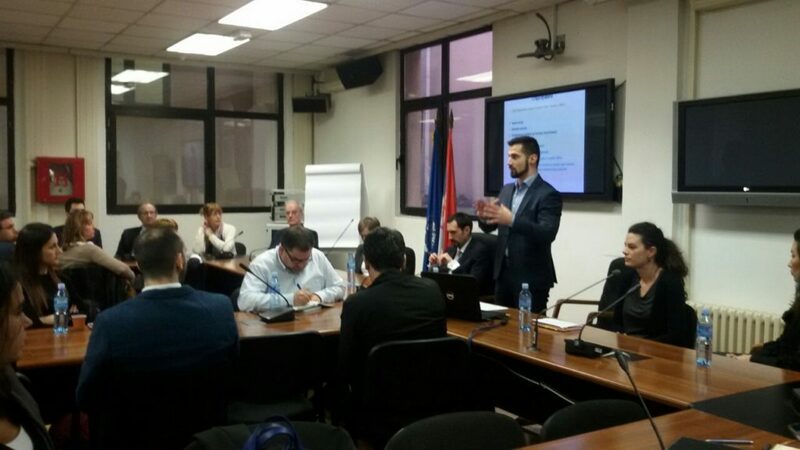 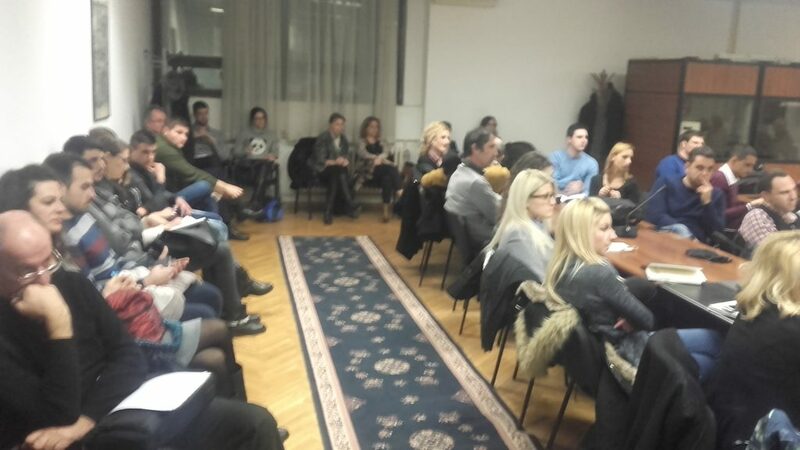 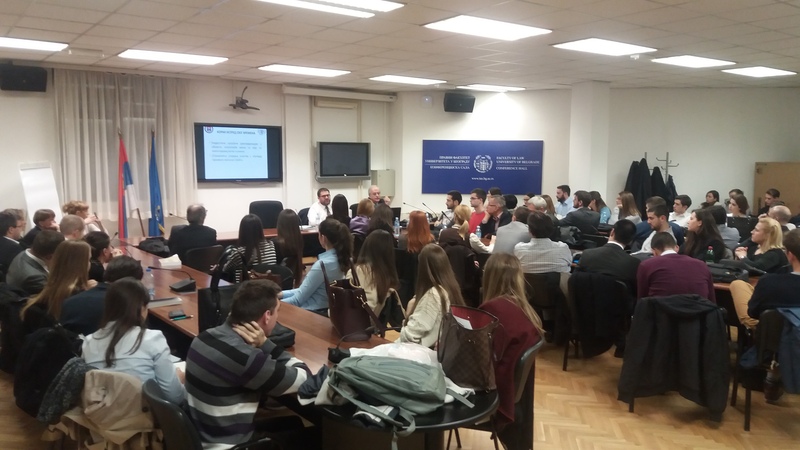 Our XIV Tax Evening was dedicated to the presentation of the new elective course at the University of Belgrade Faculty of Law – International Tax Treaty Law. 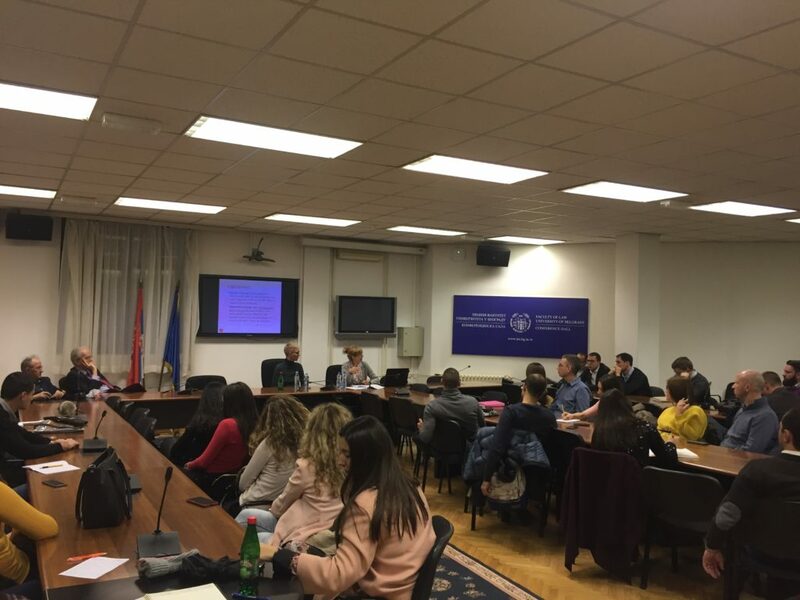 18 undergraduate students of the Faculty of Law (attending the last, VIII, semester) had two classes on international tax treaty law every week taught only in English by Doc. 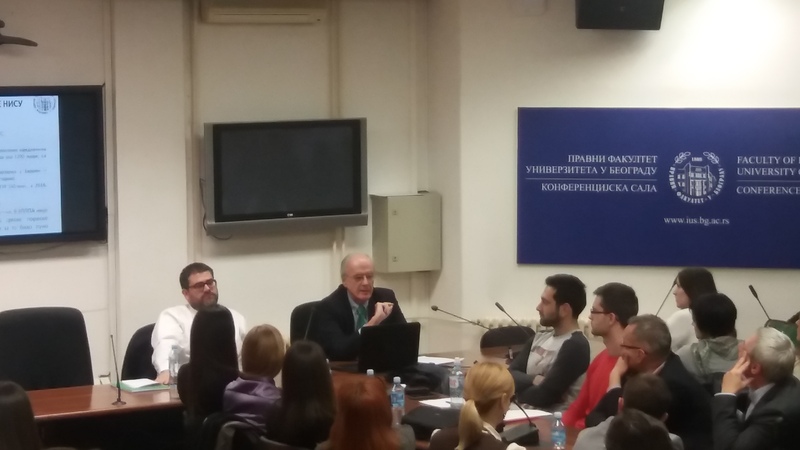 Dr. Svetislav V. Kostić. 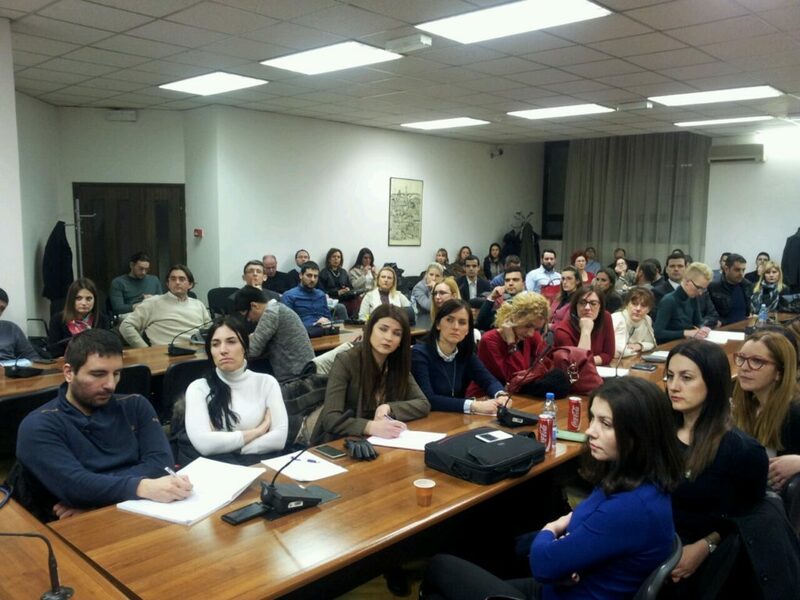 They had to learn how to use, as their basic tool of trade, the OECD Model Convention and its Commentary. 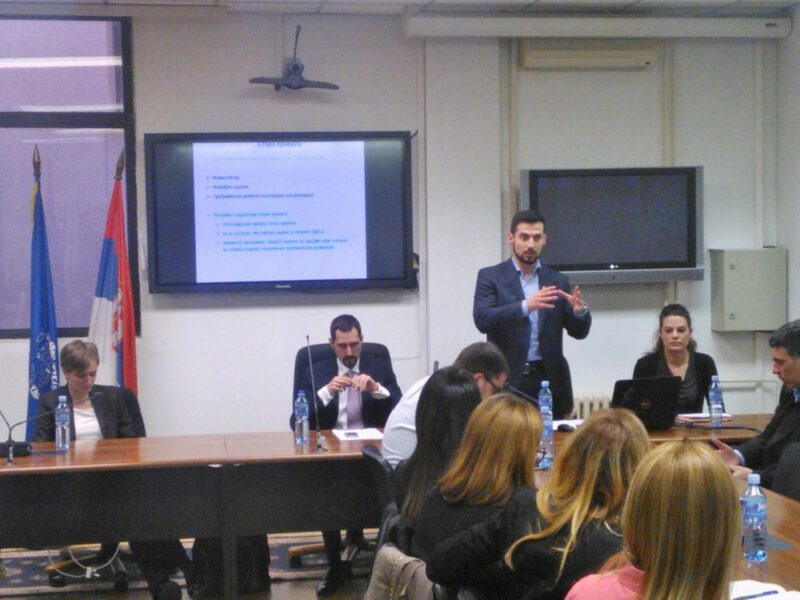 Students were divided into 5 groups which were each provided with a highly challenging tax case. 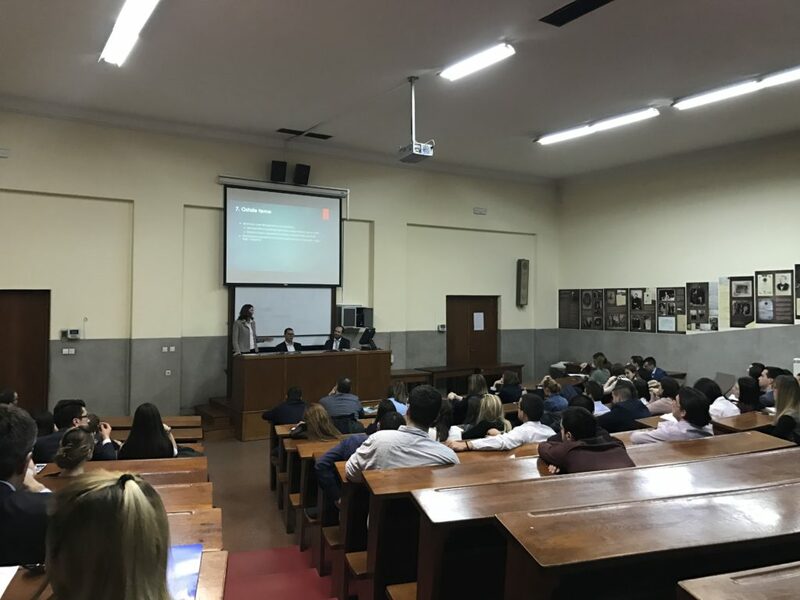 A mentor was assigned to each group whose task was to assist them in mastering the case and teach them how to properly draft legal memoranda. 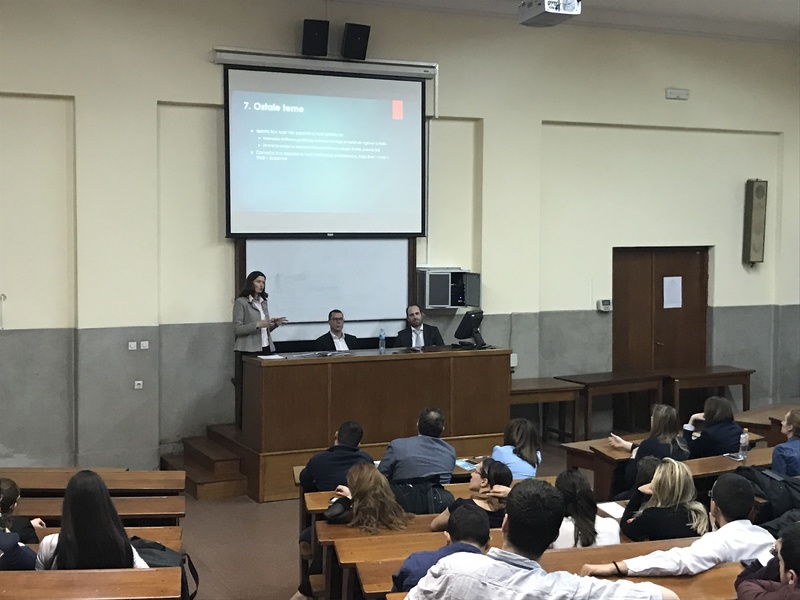 In addition to the basic lectures and mentorship package, the students had the opportunity to attend an excellent seminar given by Doc. 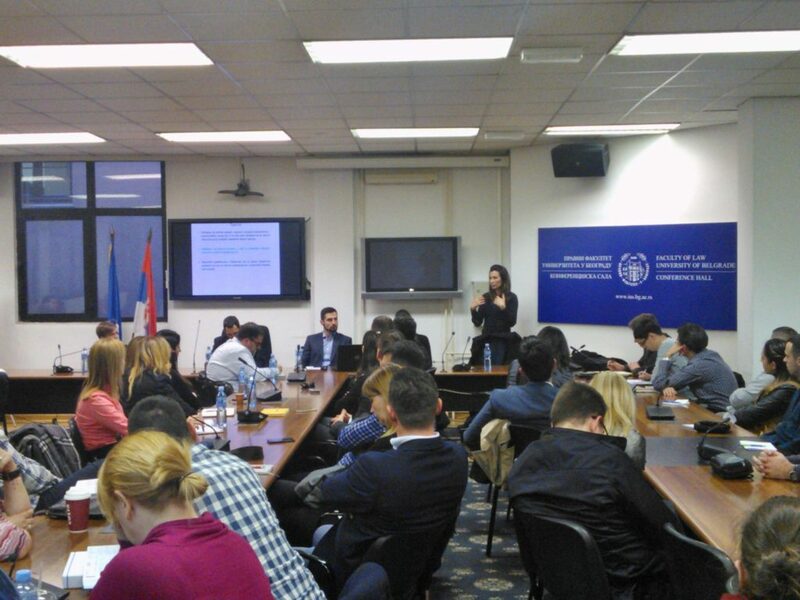 Dr. Bojana Čučković on the relationship between domestic and international law, and the monist and dualist theories. 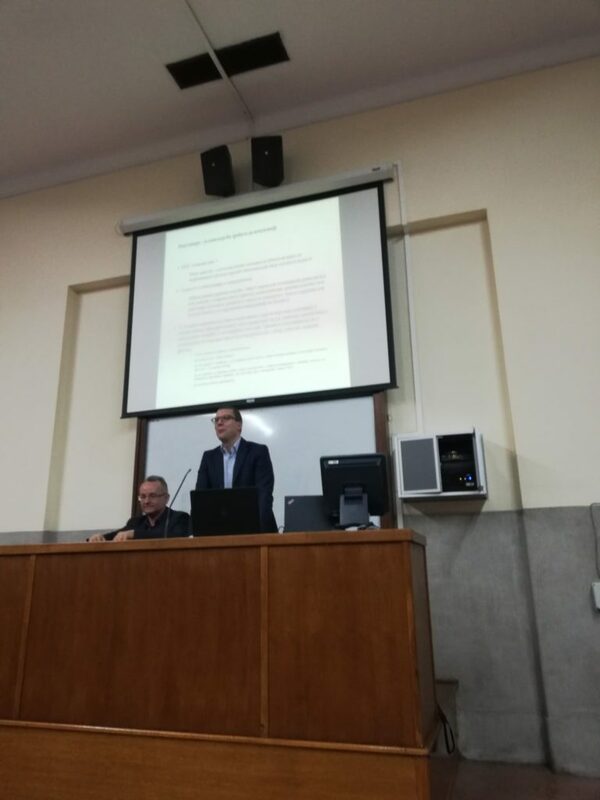 The seminar was held in English. 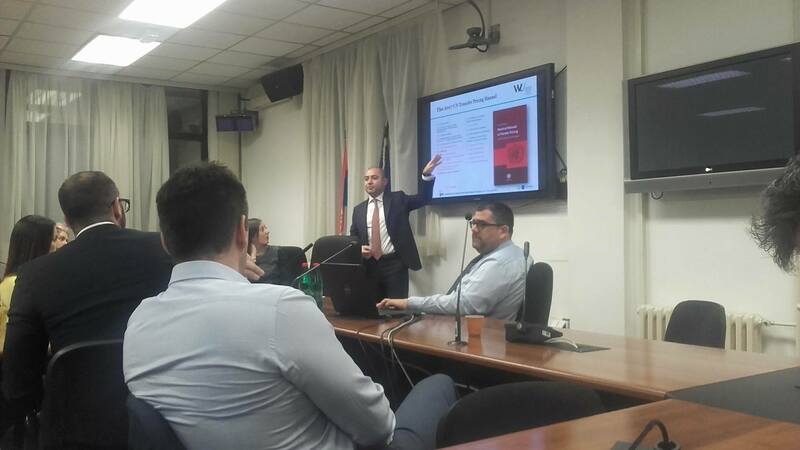 Finally, thanks to PwC Academy the students were provided with a six hours Finance for non-finance course. 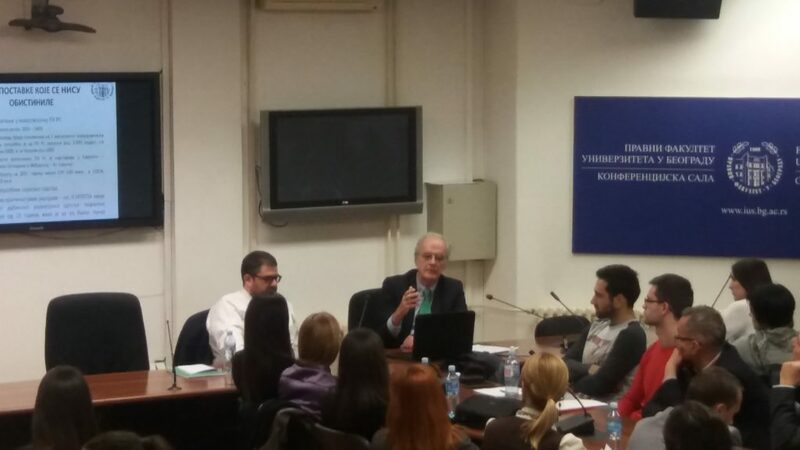 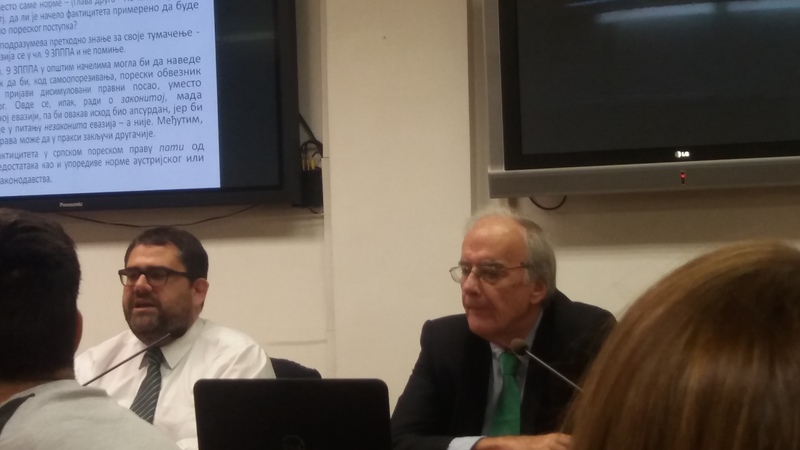 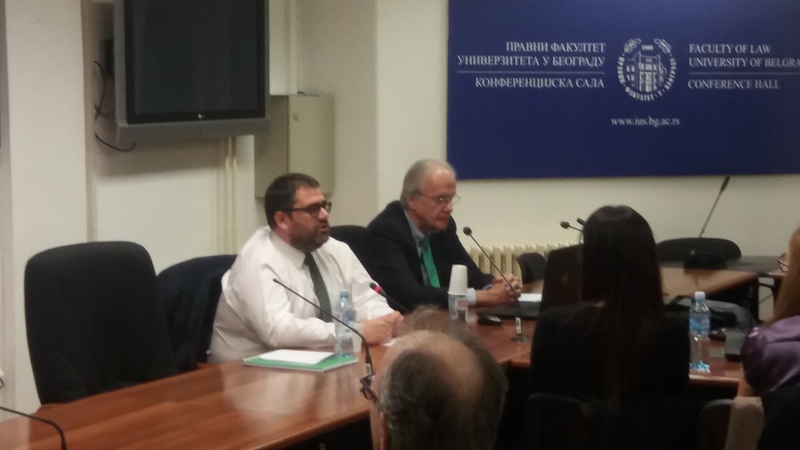 Lecturers: Dr. Bosa Nenadić, former President of the Serbian Constitutional Court , Prof. Dr. Tanasije Marinković (University of Belgrade Faculty of Law) and Doc. 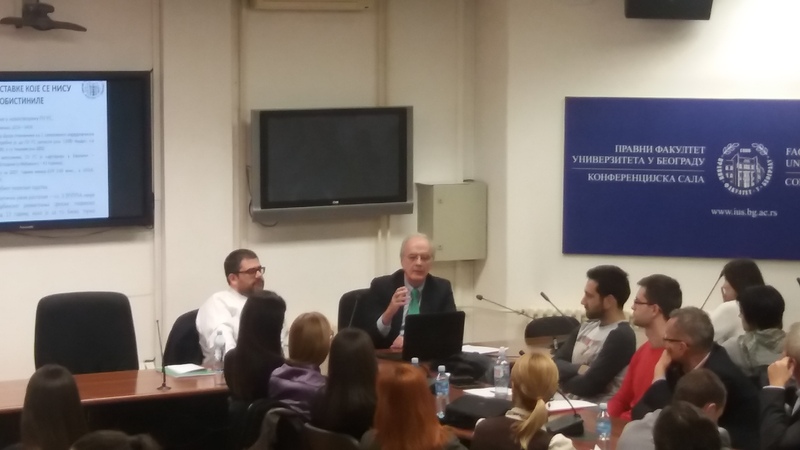 Dr. Svetislav V. Kostić (University of Belgrade Faculty of Law). 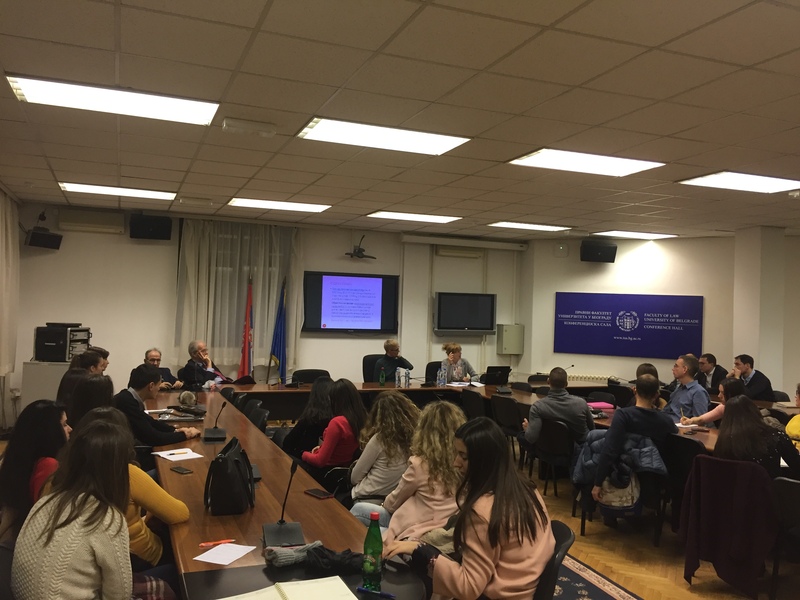 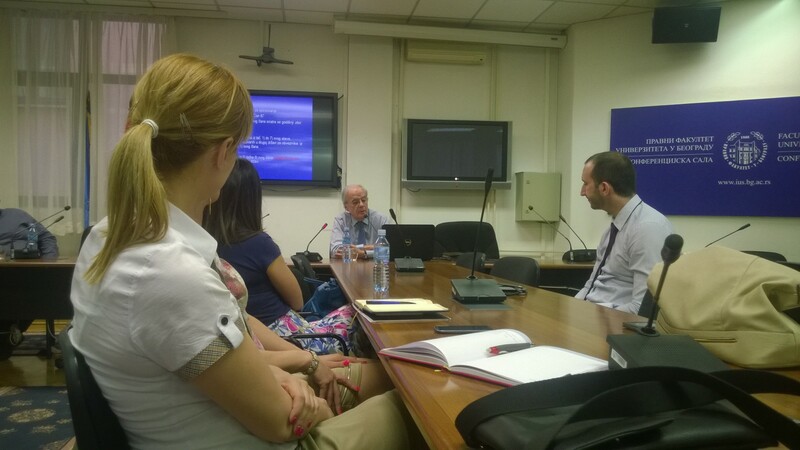 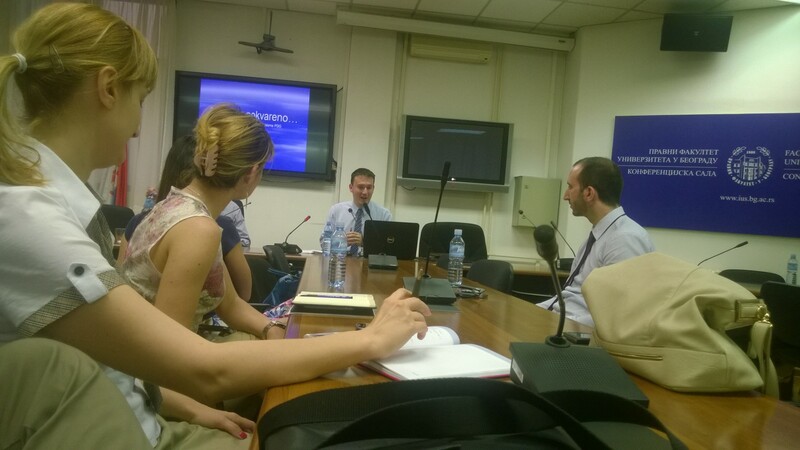 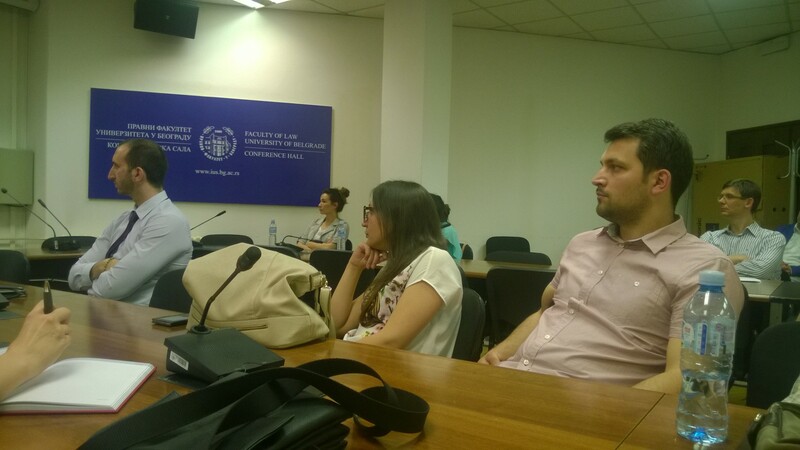 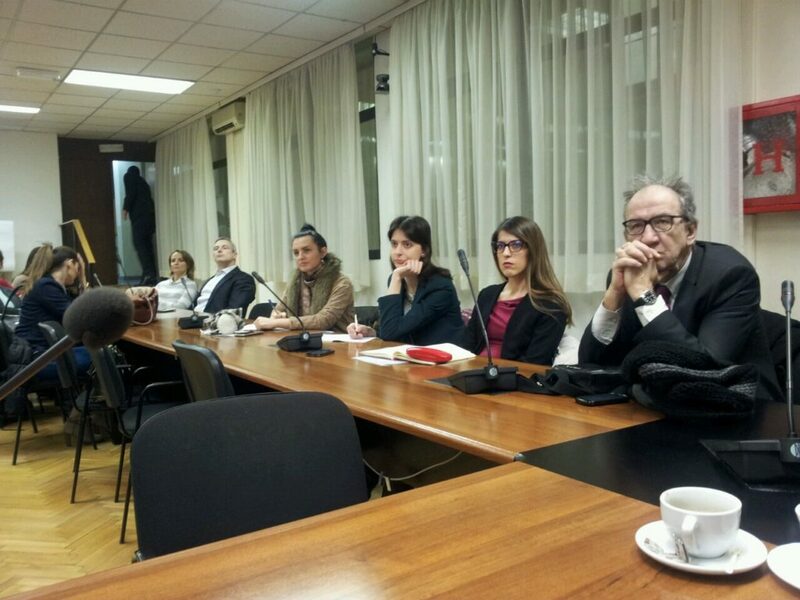 Lecturers – Prof. Dr. Dejan Popović, University of Belgrade Faculty of Law, Doc. 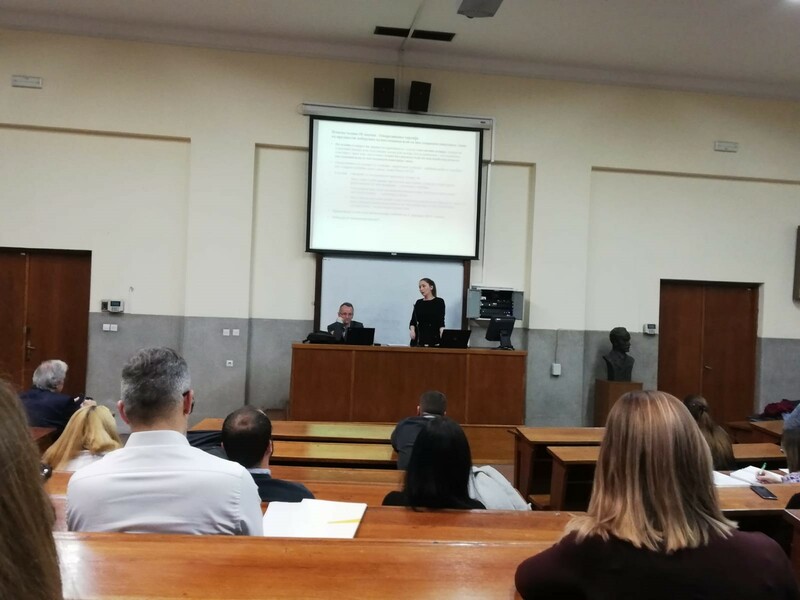 Dr. Svetislav V. Kostić, University of Belgrade Faculty of Law. 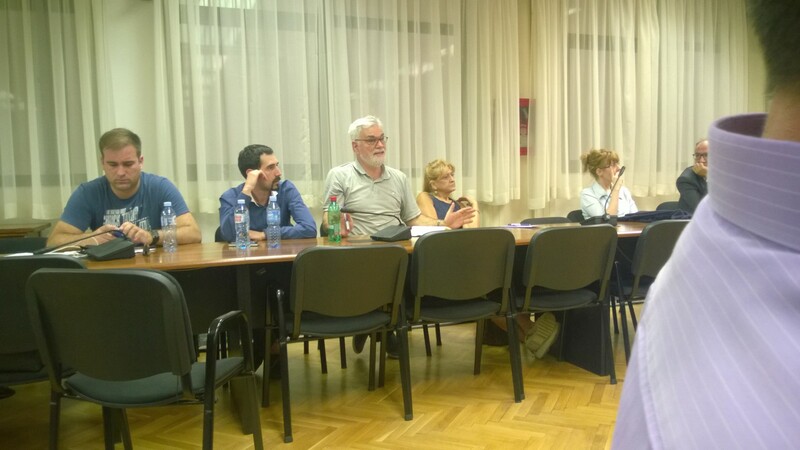 Lecturers – Doc. 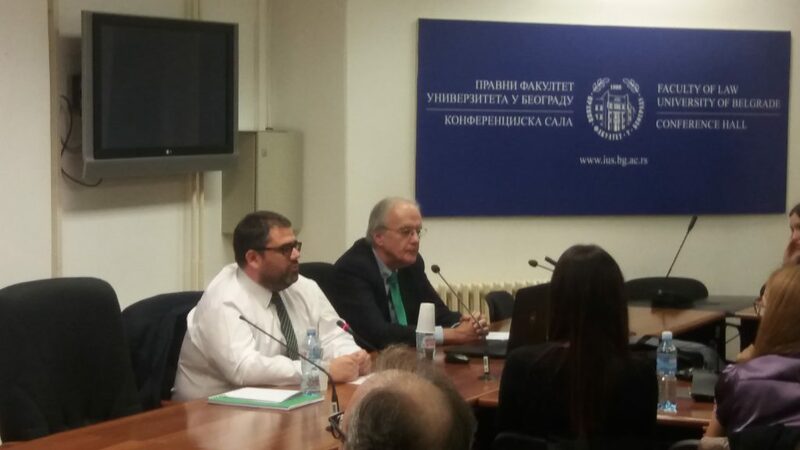 Dr. Miloš Milošević, LL.M., University of Belgrade Faculty of Law, and Filip Kovačević, LL.M., Deloitte. 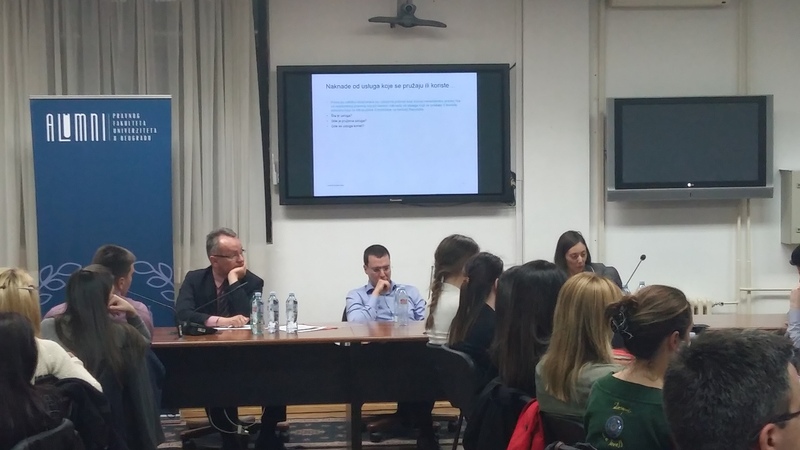 Panel: Biljana Bujić, KPMG, Ivana Rotim, TPA Horwath and Julijana Avramović, PwC. 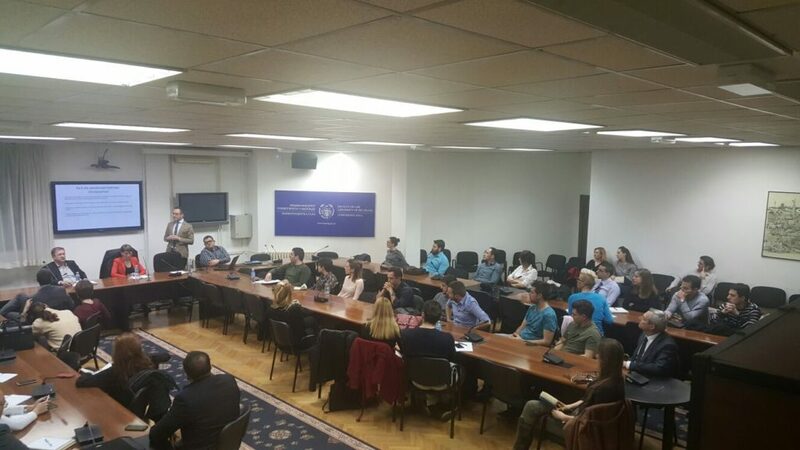 Lecturer – Dejan Mraković, LL.M., Deloitte. 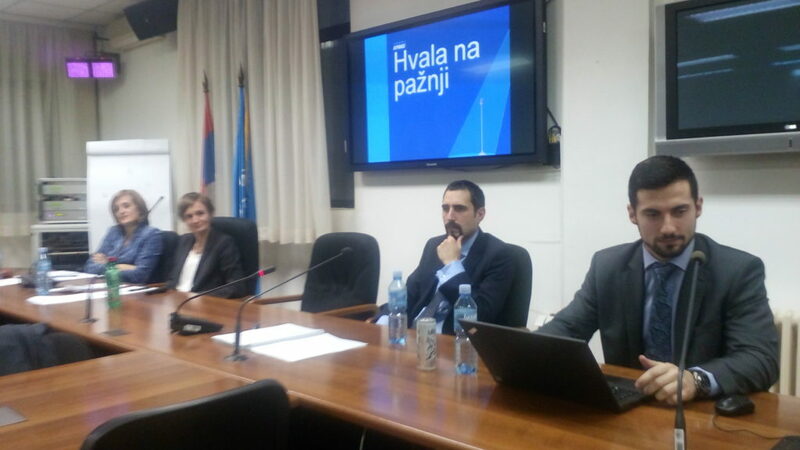 Panel: Dr. Dragan Demirović, lawyer; Jelena Miljković, KPMG; Doc. 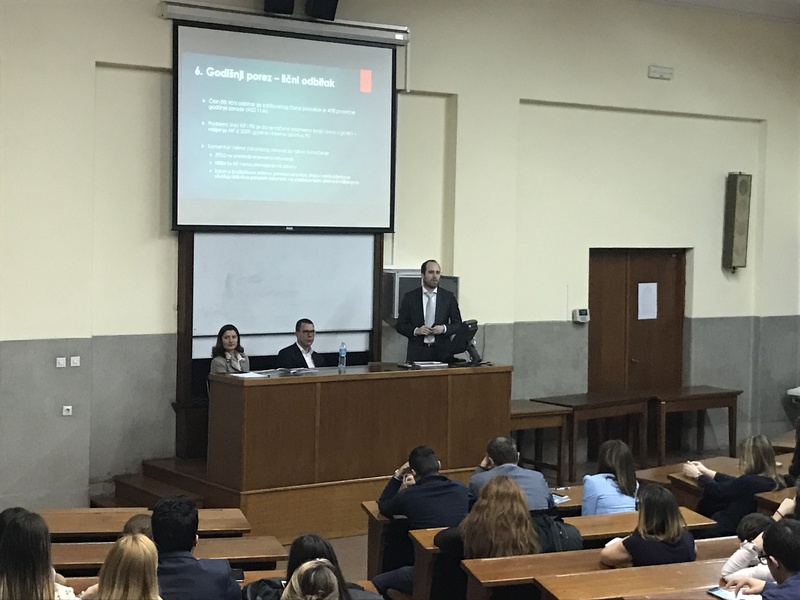 Dr. Svetislav V. Kostić, University of Belgrade Faculty of Law/Deloitte. 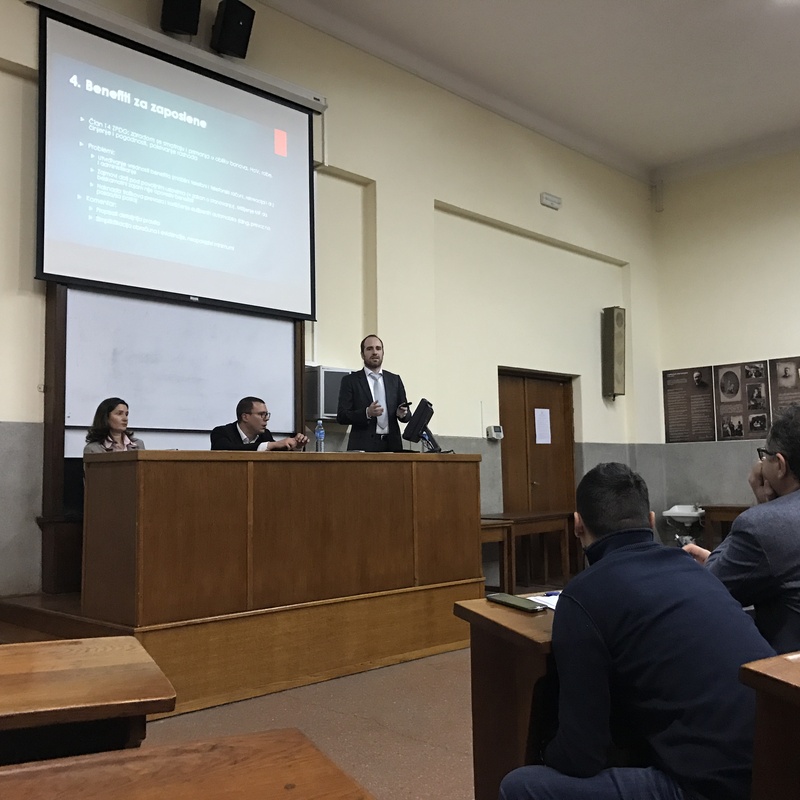 Lecturer – Doc. 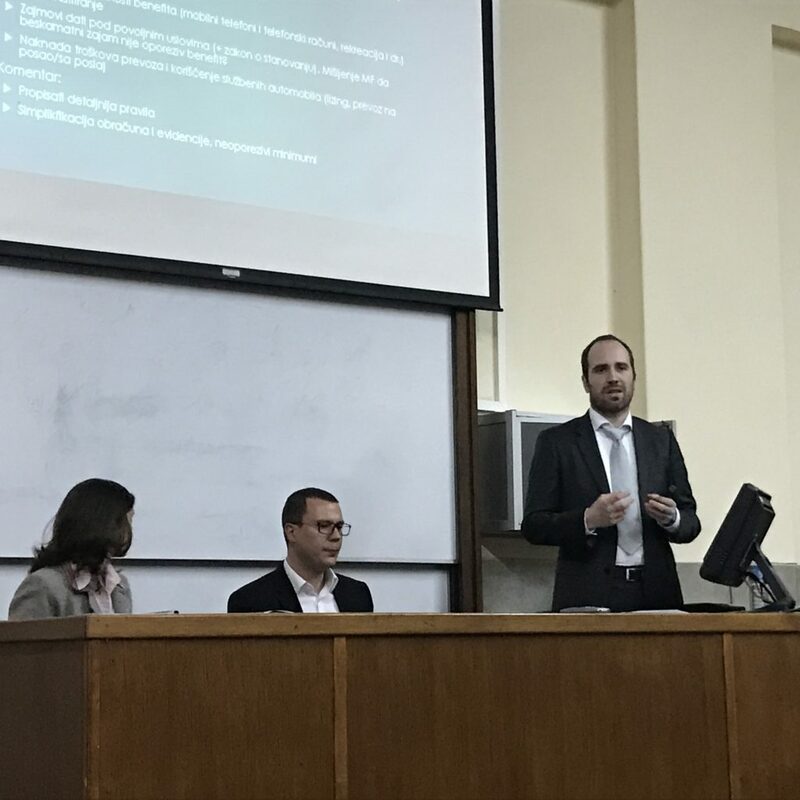 Dr. Svetislav V. Kostić, University of Belgrade Faculty of Law/Deloitte. Panel: Tanja Unguran, Karanović & Nikolić, Dragan Drača, PwC and Nenad Nešovanović, KPMG. 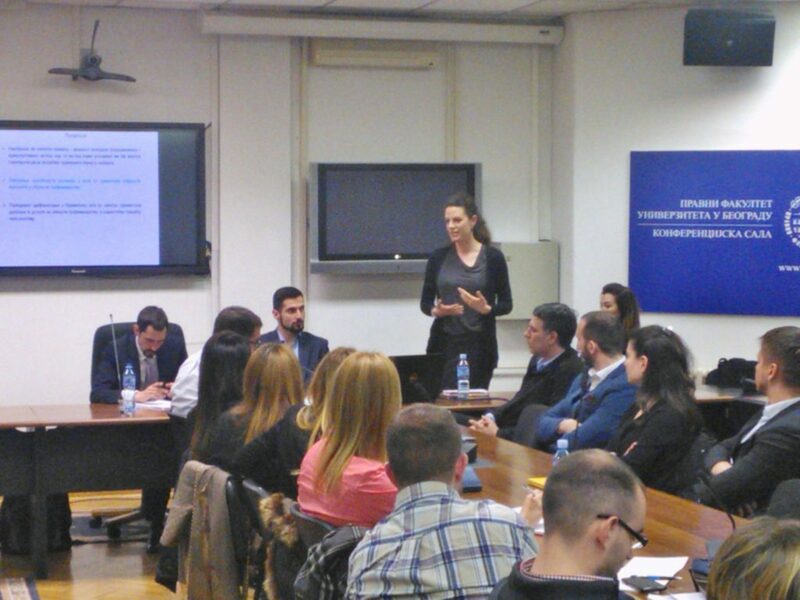 Lecturer – Biljana Bujić, KPMG. 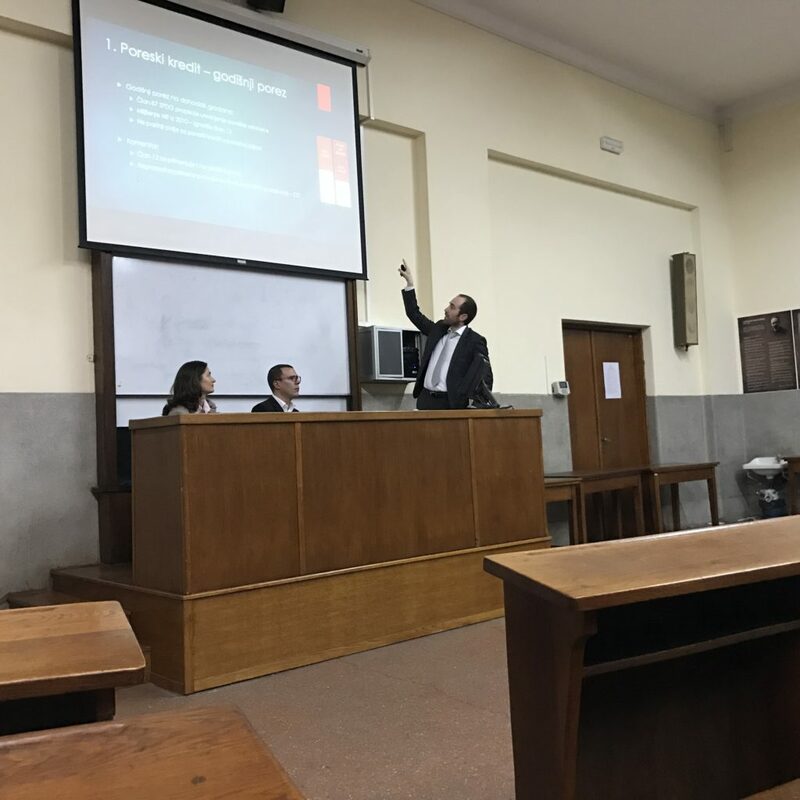 Panel: Doc. 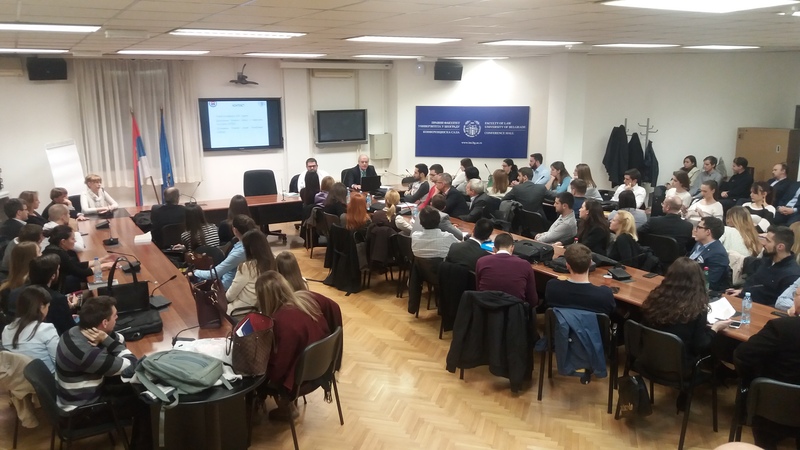 Dr. Miloš Milošević, University of Belgrade Faculty of Law, and Filip Kovačević, LL.M, Deloitte.